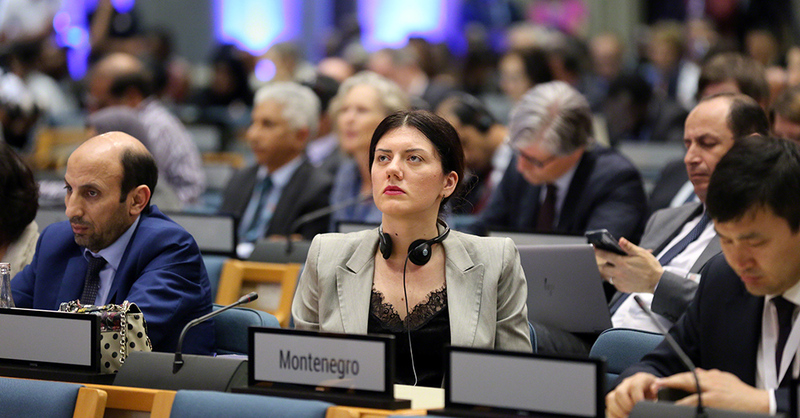 In the afternoon closing plenary, delegates adopted the Ministerial Declaration, 26 resolutions and three decisions, addressing many global environmental issues including marine litter and microplastics, single-use plastics, sustainable nitrogen management, and the empowerment of women and girls in environmental governance. 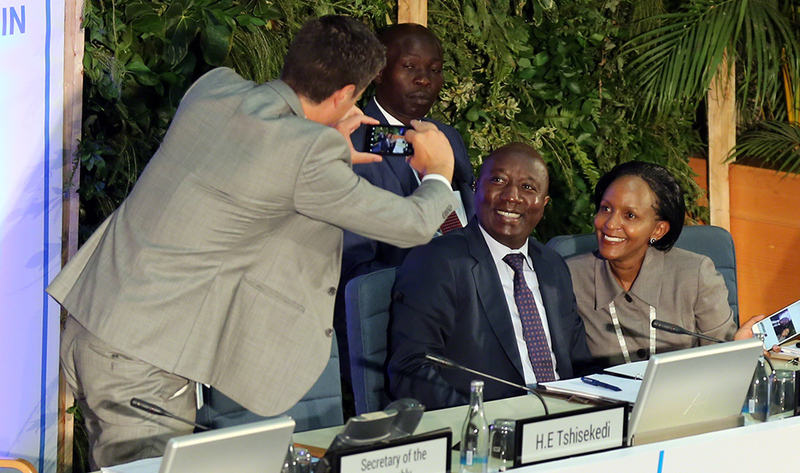 They also adopted the UNEP Programme of Work and budget for 2020-21. 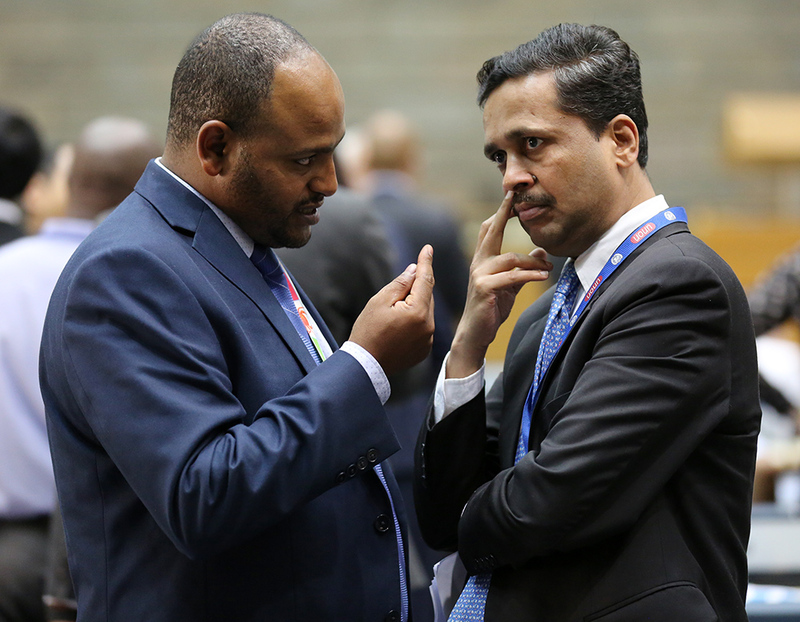 The US disassociated itself from the Ministerial Declaration, and expressed its reservation regarding references in the resolutions to several international agreements, including the 2030 Agenda for Sustainable Development and the Addis Ababa Action Agenda, stating that these have no standing with regard to negotiations on trade. 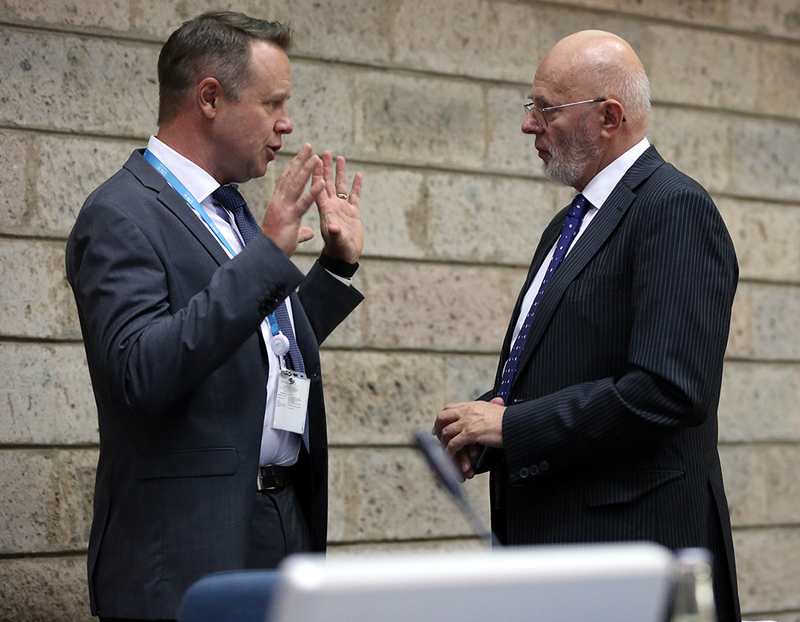 Many delegates expressed appreciation for the efforts of UNEA-4 President Siim Kiisler, the Committee of Permanent Representatives, and the UNEP Secretariat in preparing for and supporting the meeting. 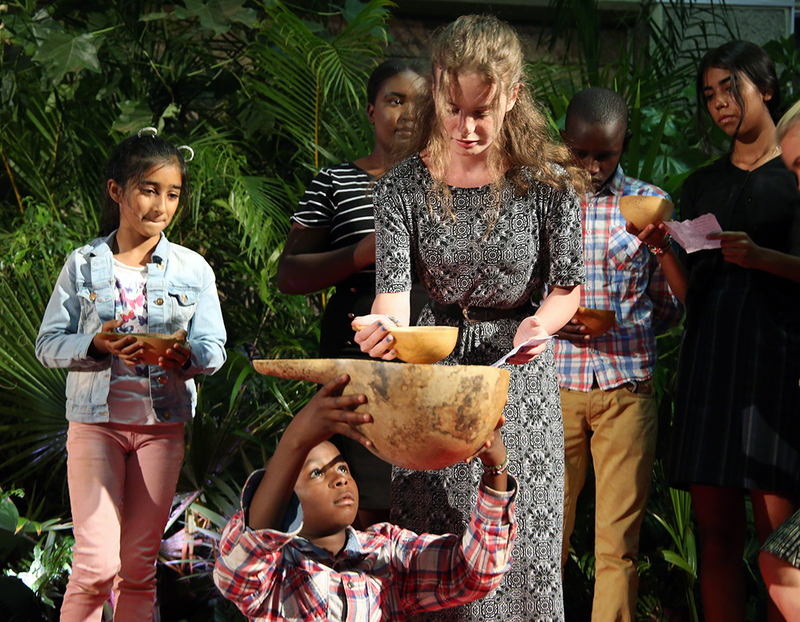 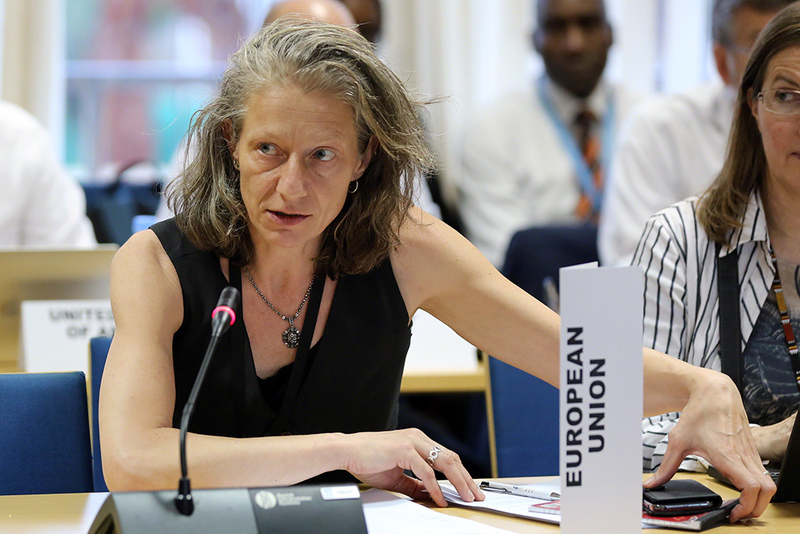 They also welcomed incoming UNEP Executive Director Inger Andersen. 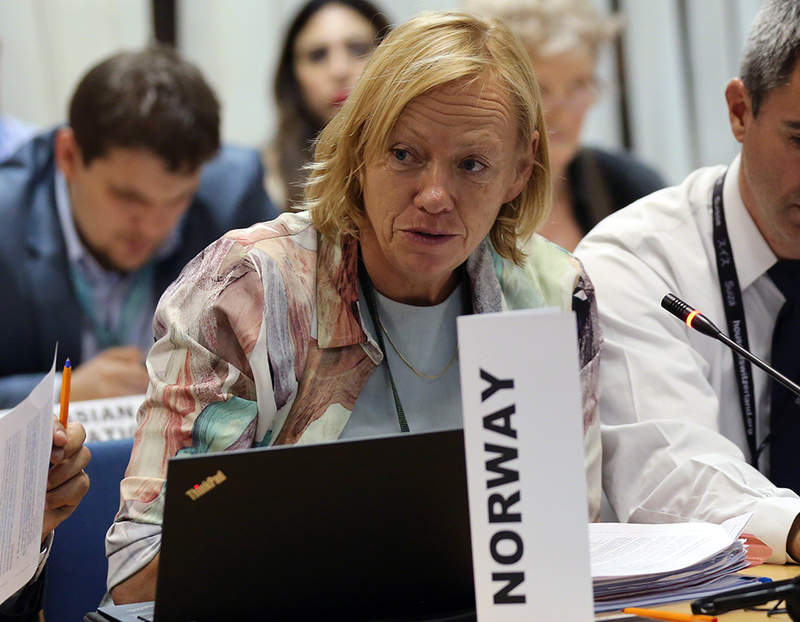 The plenary elected Ola Elvestuen, Minister of Climate and Environment, Norway, as President of UNEA-5, and Nomvula Mokonyane (South Africa) as Rapporteur. 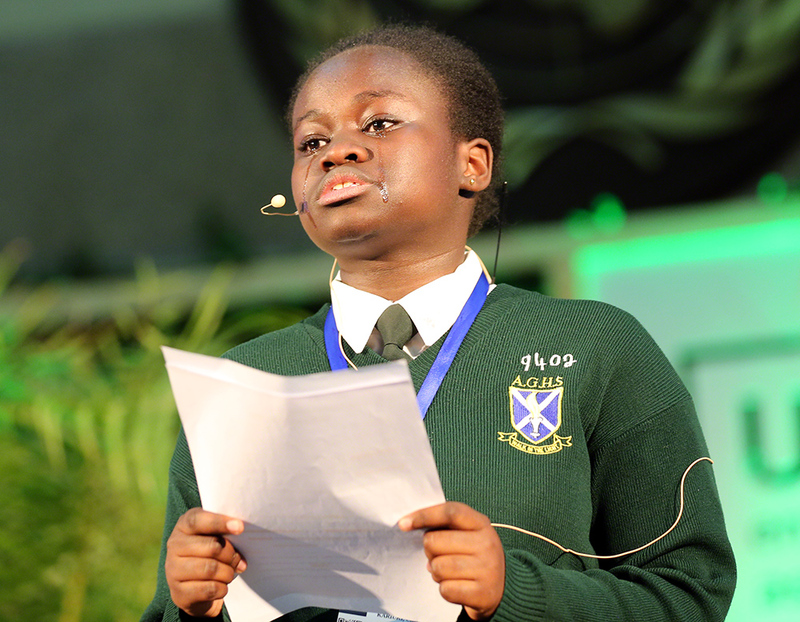 They elected office bearers representing all regions. 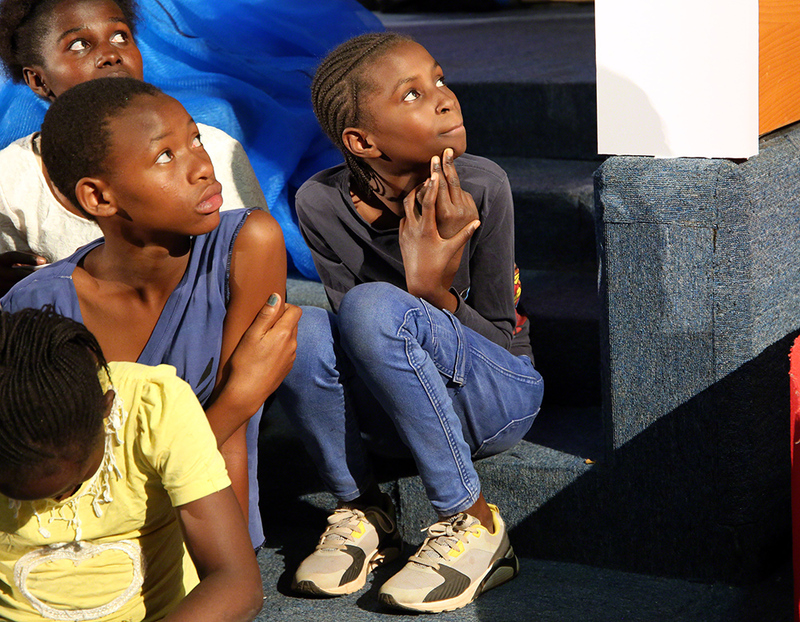 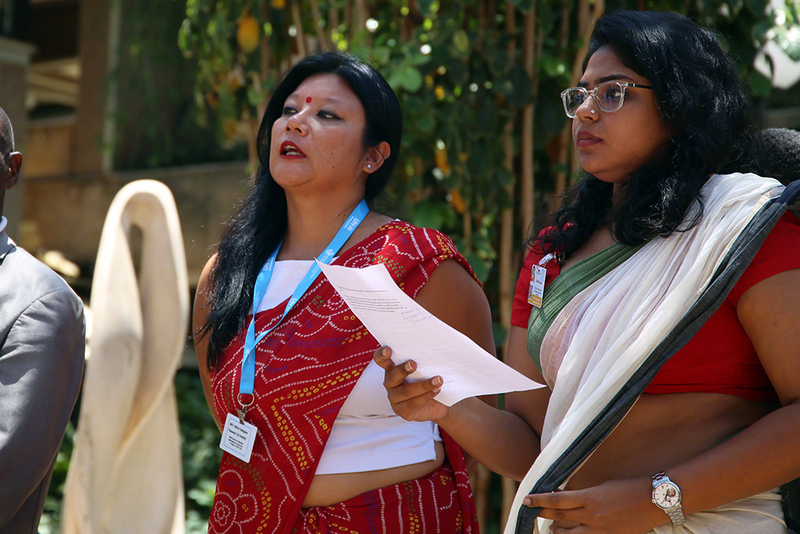 Delegates witnessed a presentation by children of water samples from special places around the world, and a video message from UN General Assembly President María Fernanda Espinosa (Ecuador). 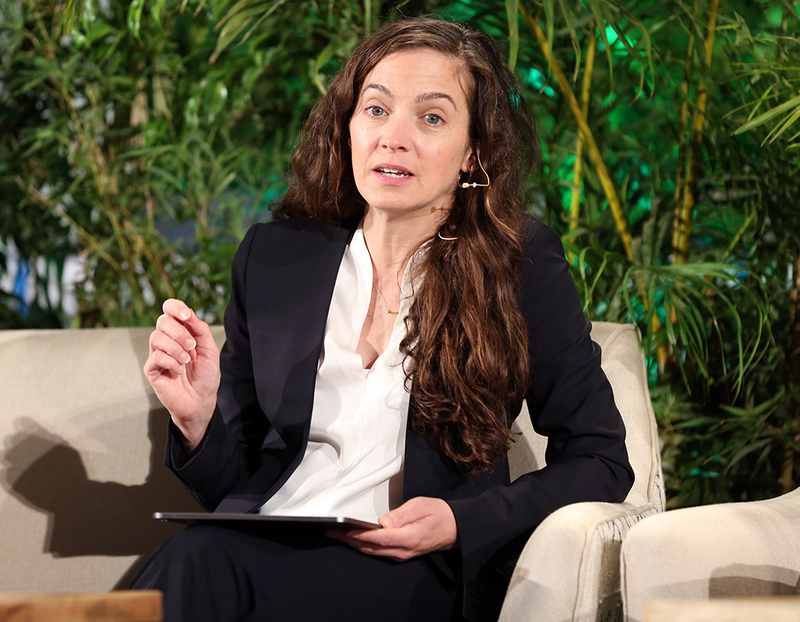 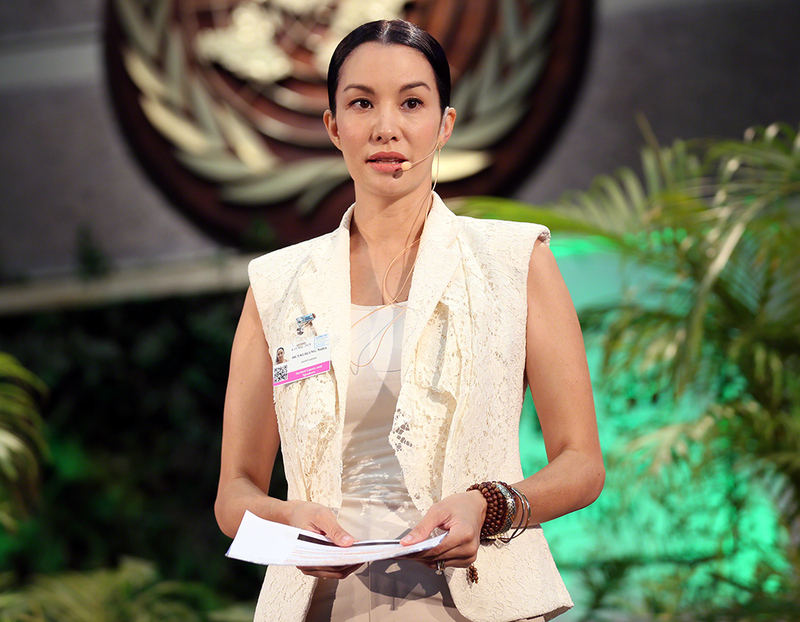 Kiisler thanked all participants warmly, and gaveled UNEA-4 to a close at 7.30 pm. 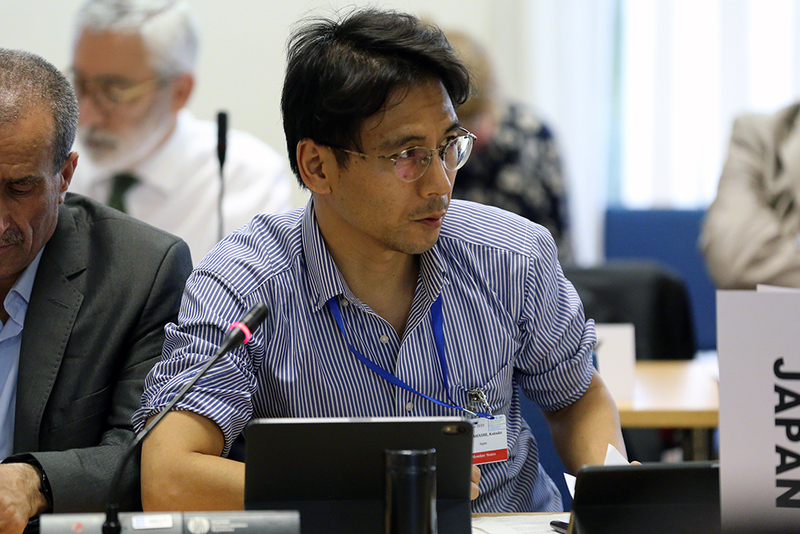 IISD Reporting Services, through its Earth Negotiations Bulletin (ENB) Meeting Coverage, provided daily web coverage, daily reports, and a summary and analysis report from OECPR-4 and UNEA-4, which is available in HTML and PDF. 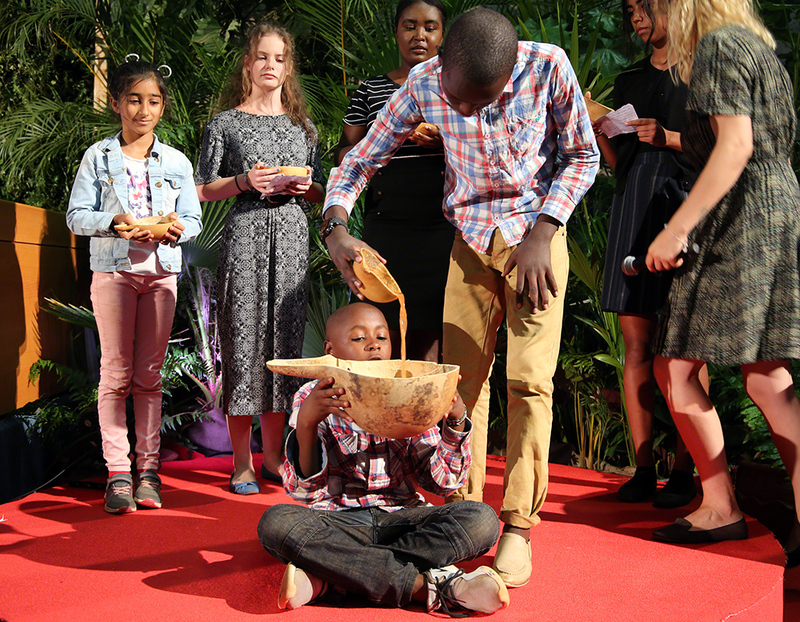 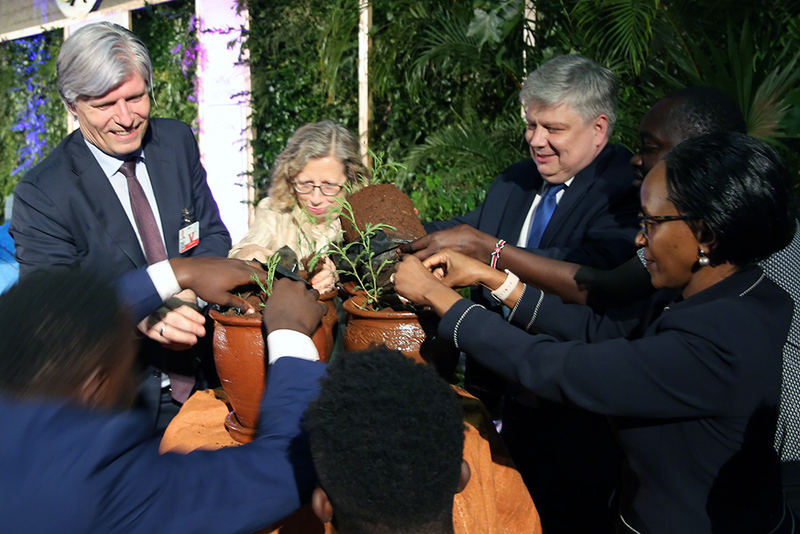 L-R: Inger Andersen, incoming Executive Director, UNEP, Siim Kiisler, UNEA-4 President, and Joyce Msuya, acting Executive Director, UNEP, water seedlings with freshwater collected by children from special places around the world as a symbol of global unity. 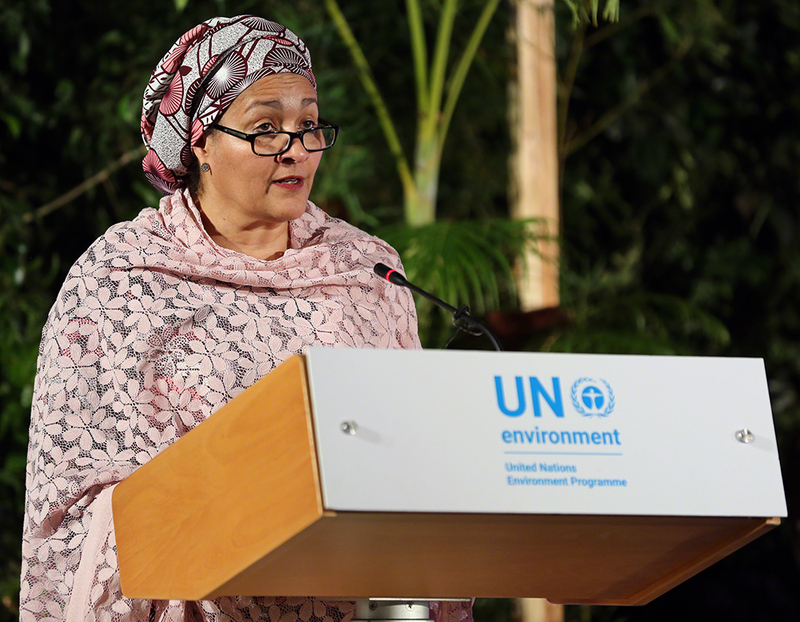 Amina J. Mohammed, UN Deputy Secretary-General, Kristalina Georgieva, interim President, World Bank, and Joyce Msuya, Acting Executive Director, UNEP, also addressed the audience, and environment ministers delivered national statements. 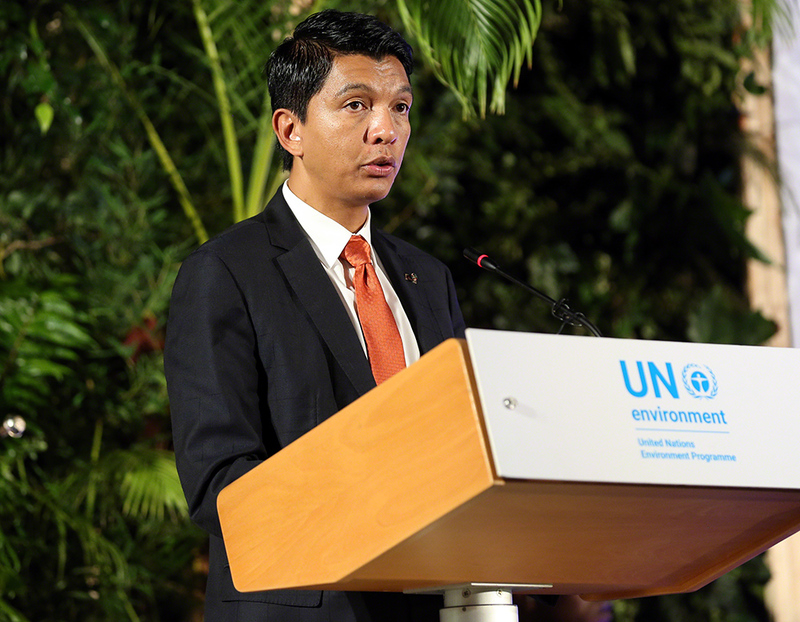 In the afternoon, a leadership dialogue took place between UN panelists and environment ministers, which discussed how to support sustainable food systems, promote food security and halt biodiversity loss. 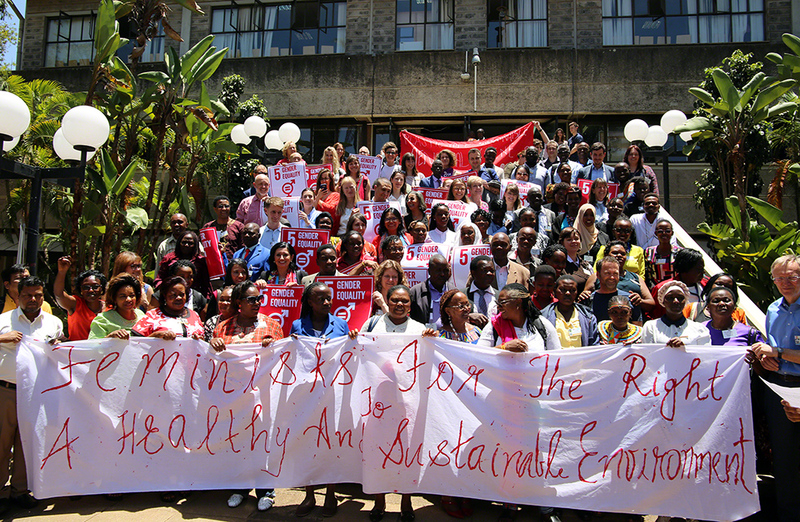 A multi-stakeholder dialogue followed with civil society leaders spearheading innovative solutions for sustainable consumption. 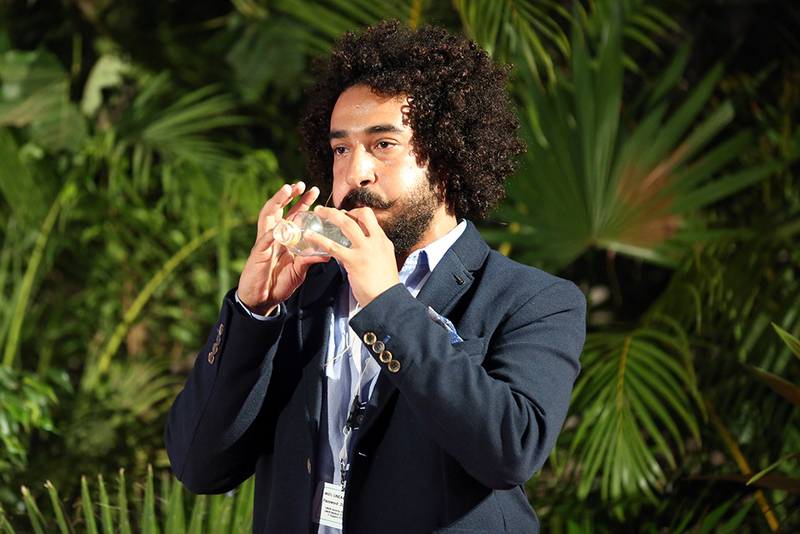 Concrete examples of social innovation in the civil society sphere, demonstrating the possibility of behavior change on issues such as single-use plastics and motor vehicle emissions. 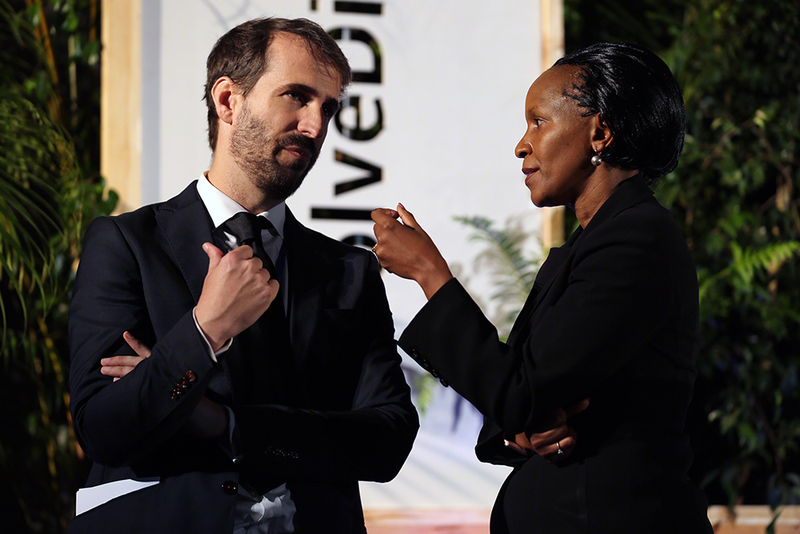 Jorge Laguna-Celis, Secretary, Secretariat of Governing Bodies, UNEP, taking a photo of Édouard Ngirente, Prime Minister of Rwanda and Joyce Msuya, Acting Executive Director, UNEP, for the #SolveDifferent campaign. 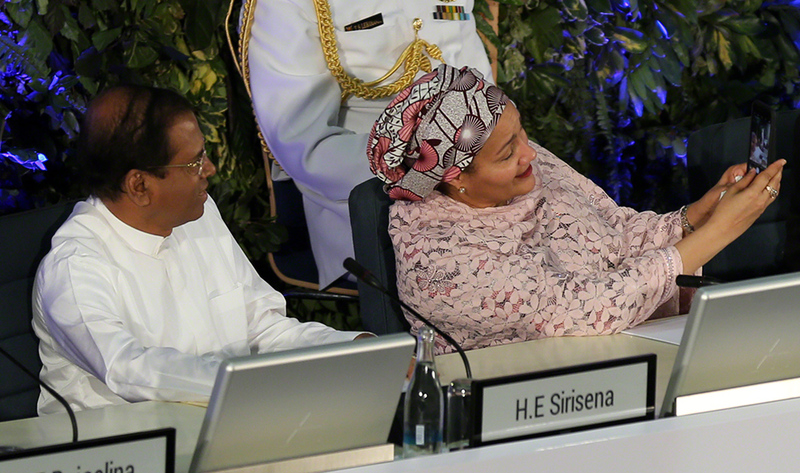 Maithripala Sirisena, President of Sri Lanka, and Amina J. Mohammed, UN Deputy Secretary-General, taking a selife for the #SolveDifferent campaign. 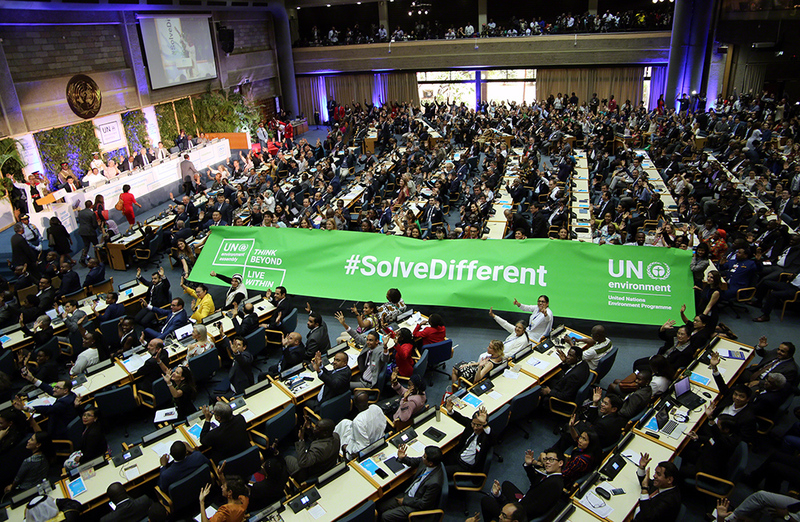 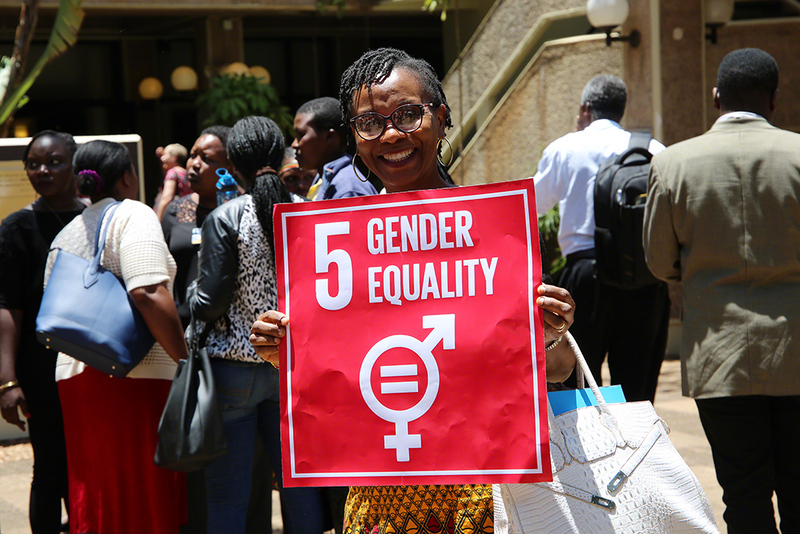 Delegates at UNEA-4 raced to complete negotiations on all outstanding draft resolutions on Wednesday, in preparation for the High-Level Segment, which begins Thursday. 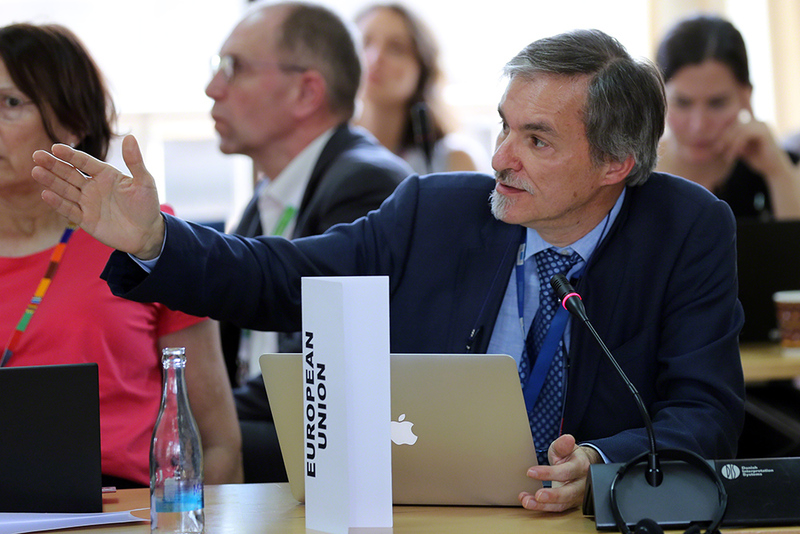 The Committee of the Whole (COW) convened briefly in morning and afternoon plenaries, and agreed to forward texts on food loss, biodiversity, and arrangements for UNEA-5, single-use plastics, and marine litter and microplastics, to UNEA-4 for adoption. 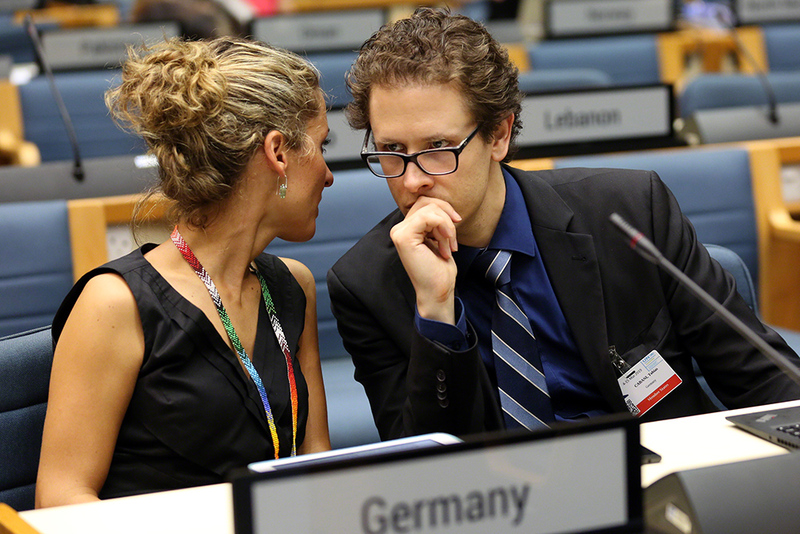 Informal discussions continued into the evening on draft resolutions addressing deforestation, geoengineering, and the GEO process. 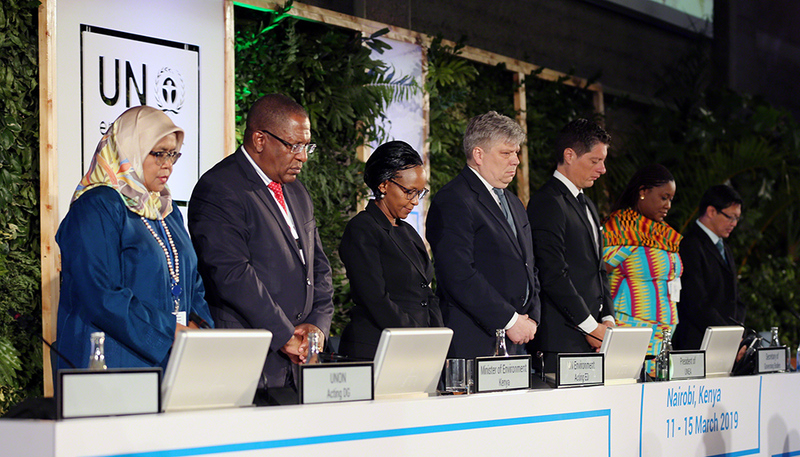 UNEP launched the GEO-6 report and related publications today in a series of interactive dialogues and presentations. 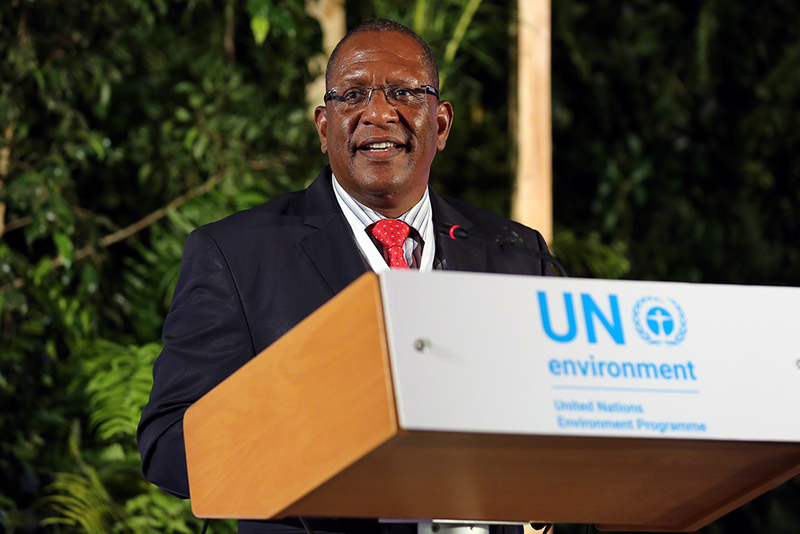 In the evening, the COW reconvened, and delegates further approved a resolution on Enhancing UNEP’s Science-Policy Interface and Endorsement of the GEO. 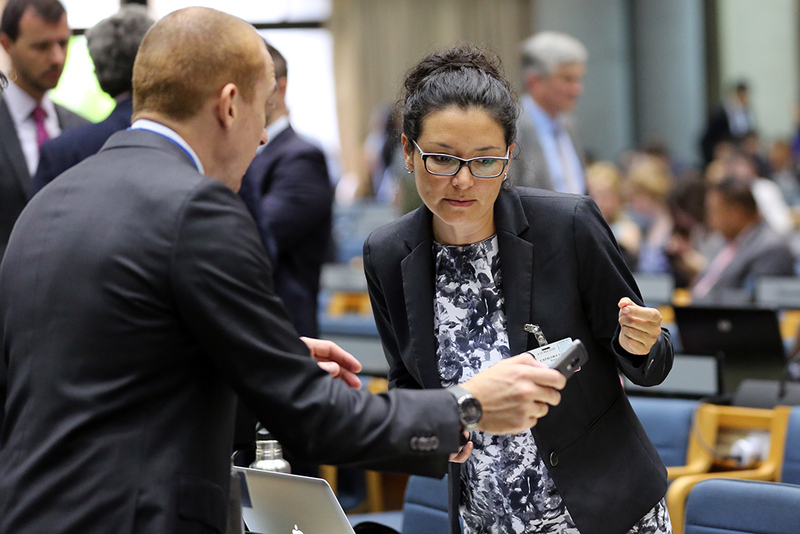 The EU withdrew its proposed resolution on deforestation and agricultural commodity supply chains, and Switzerland withdrew its proposed resolution on geoengineering governance, in both instances citing a lack of consensus. 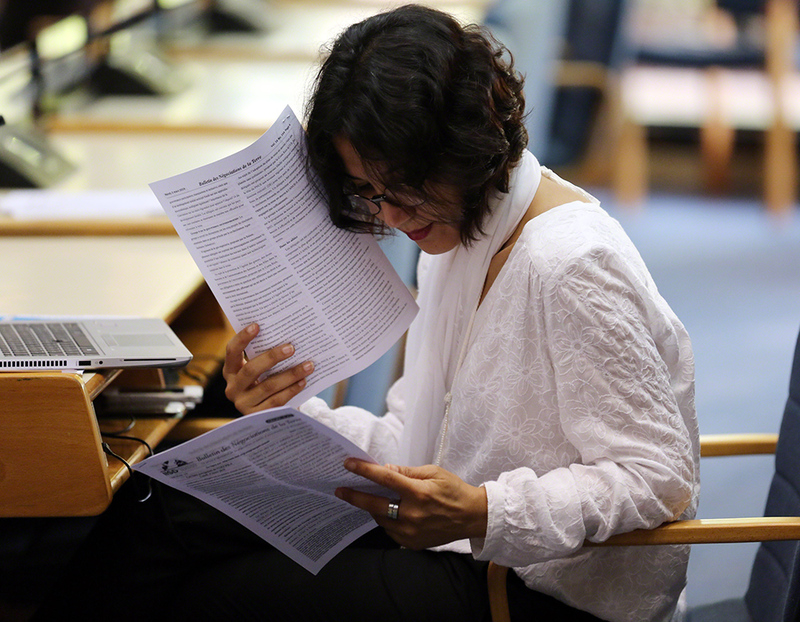 Delegates adopted the draft procedural report of the COW by rapporteur Putera Parthama (Indonesia). 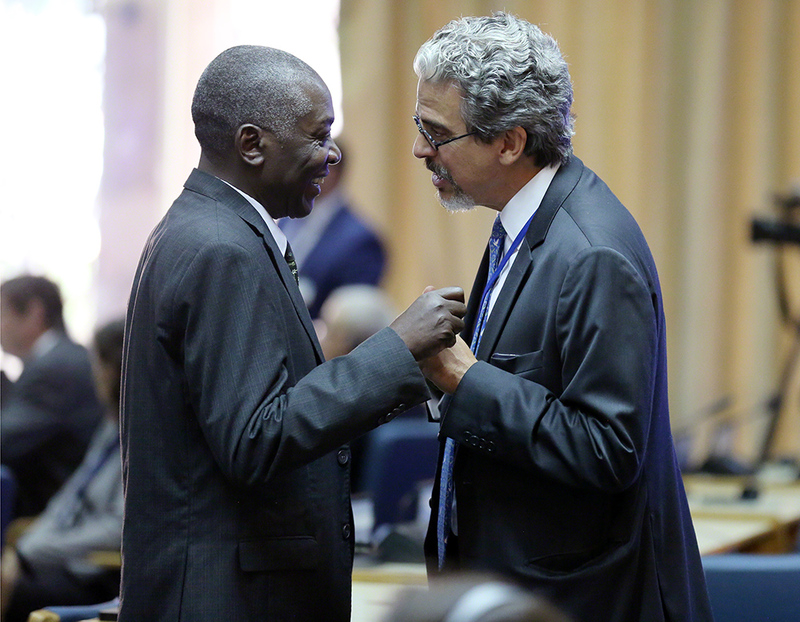 Coimbra expressed warm thanks to Parthama and the UNEP Secretariat, and conveyed his appreciation to OECPR Chair Francisca Ashietey-Odunton and all members of the CPR for their work in presenting “a mature set of decisions” that had enabled work to progress. 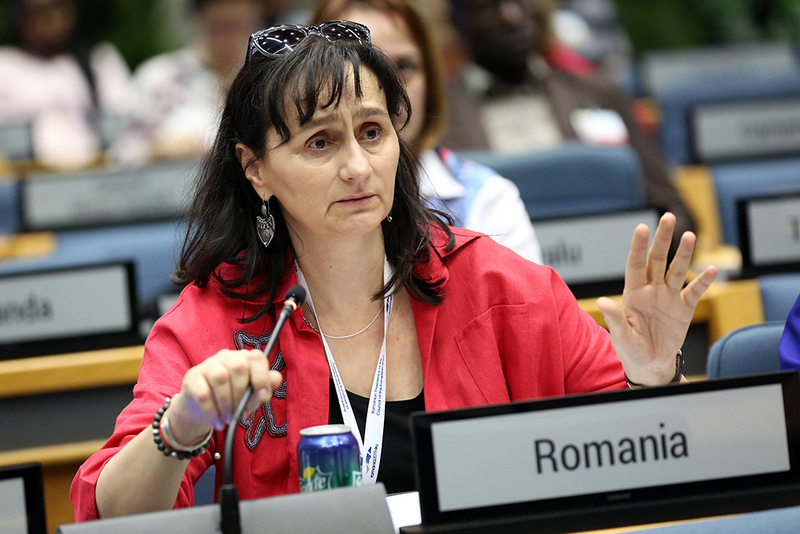 Delegates also conveyed messages of support, and Coimbra gaveled the meeting to a close at 8.41 PM. 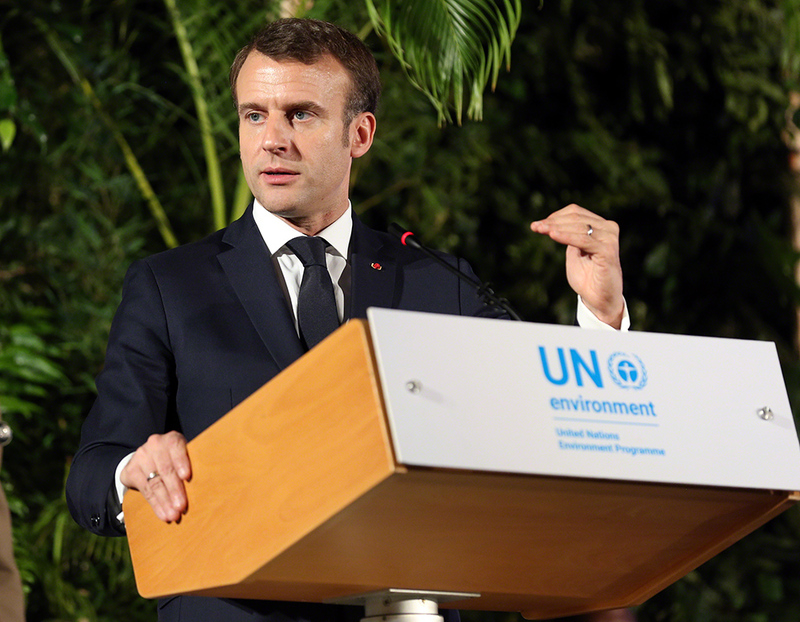 National statements by many Member States and heads of agencies, outlining their actions to promote sustainable consumption and production (SCP), fight climate change, and halt biodiversity and habitat loss. 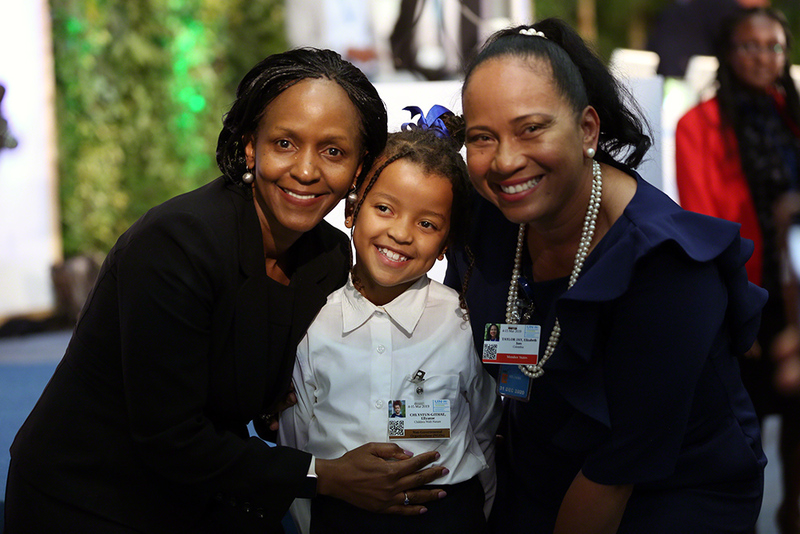 The fourth session of the UN Environment Assembly (UNEA-4) continued its second day of discussion in formal contact groups and working groups established by its Committee of the Whole (COW). 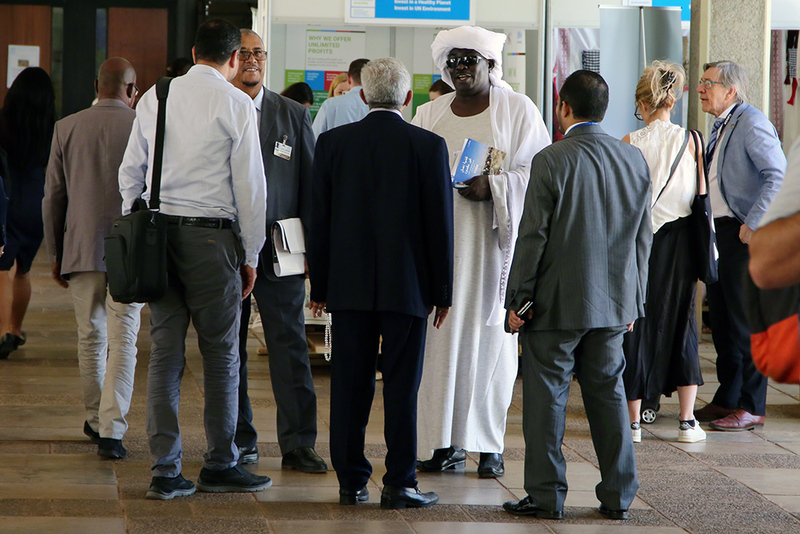 Early in the day, delegates reached agreement on the draft resolution on sustainable consumption and production (SCP), and on the draft decision on the proposed programme of work and budget for the 2020-2021 biennium. 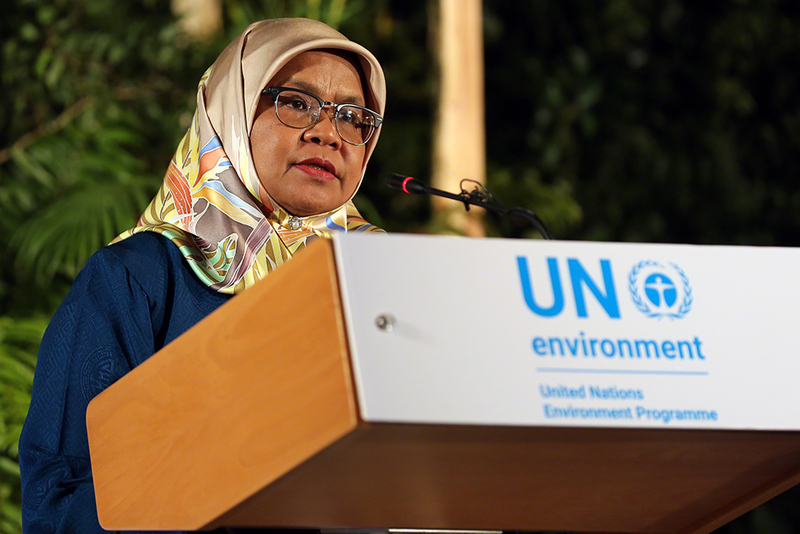 They announced agreement on further draft resolutions as the day progressed, and continued discussing marine litter, biodiversity, deforestation, the Global Environment Outlook (GEO) process, and arrangements for UNEA-5. 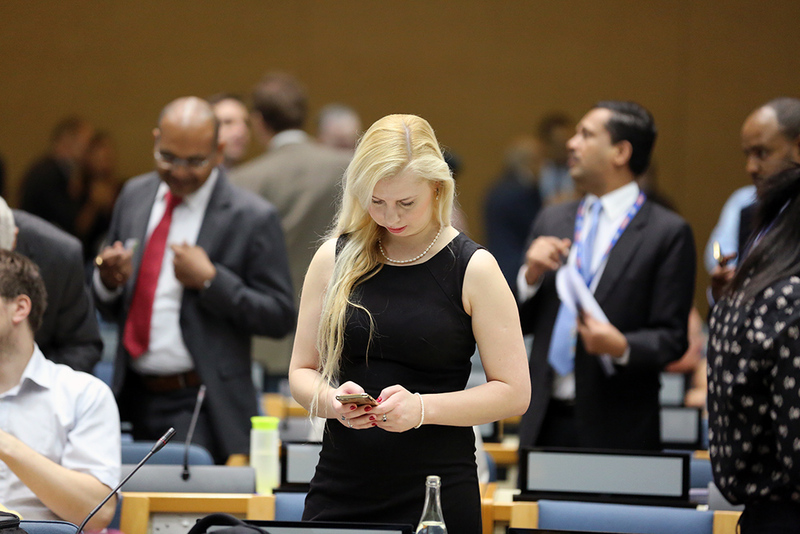 Member States presented national statements in the UNEA-4 plenary in the afternoon. 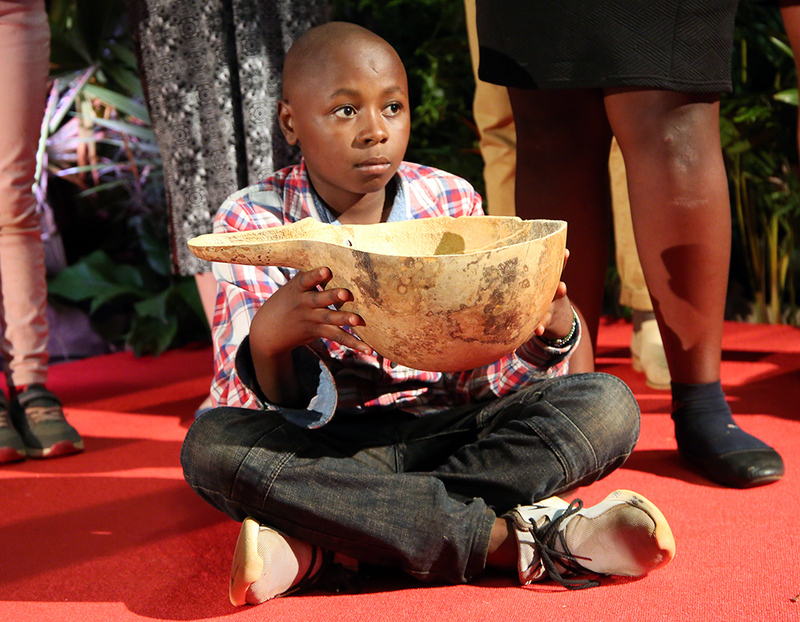 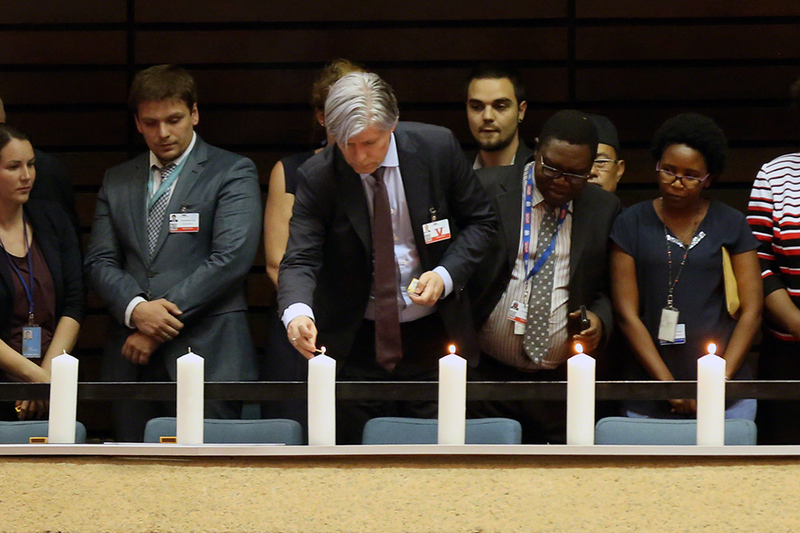 Many speakers paid tribute to the victims of the Ethiopian Airlines crash on Sunday. 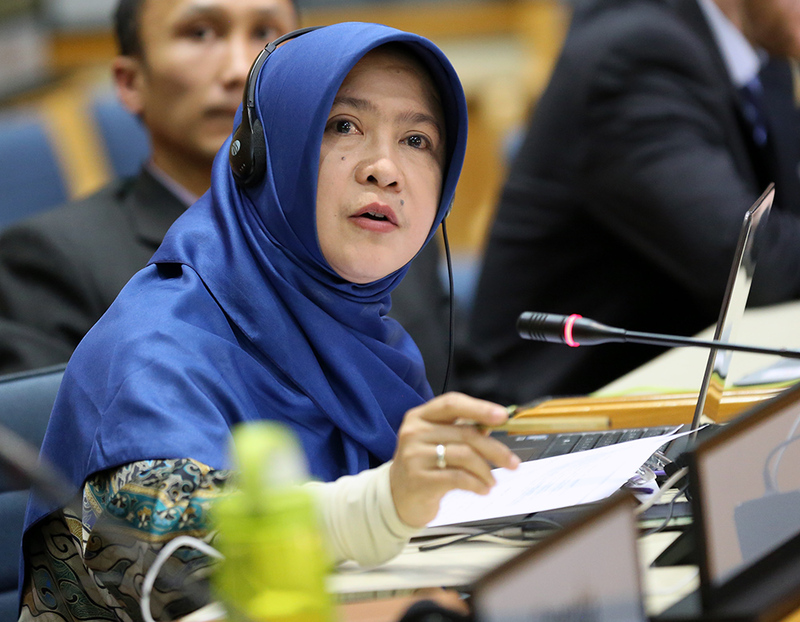 Delegates presented their national actions toward SCP, including, for example, initiatives on water resource management, sustainable forest management, and clean energy. 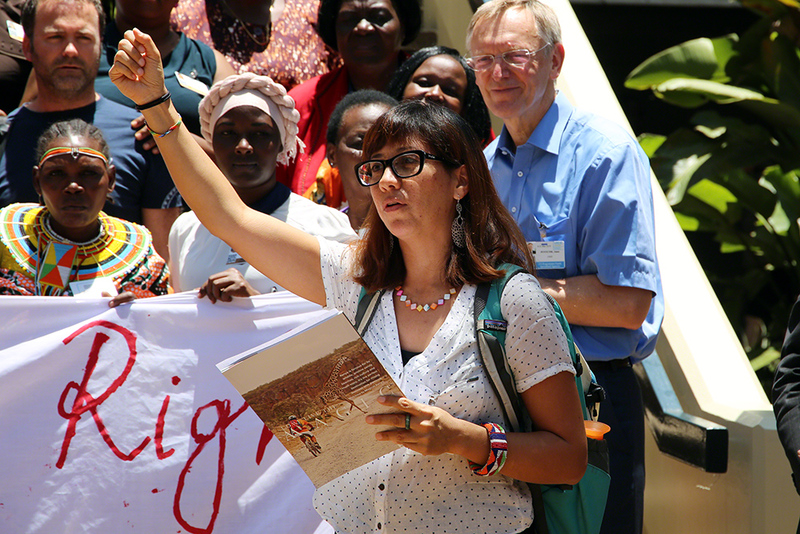 Besides Member States, several representatives of Major Groups and other UN agencies also took the floor. 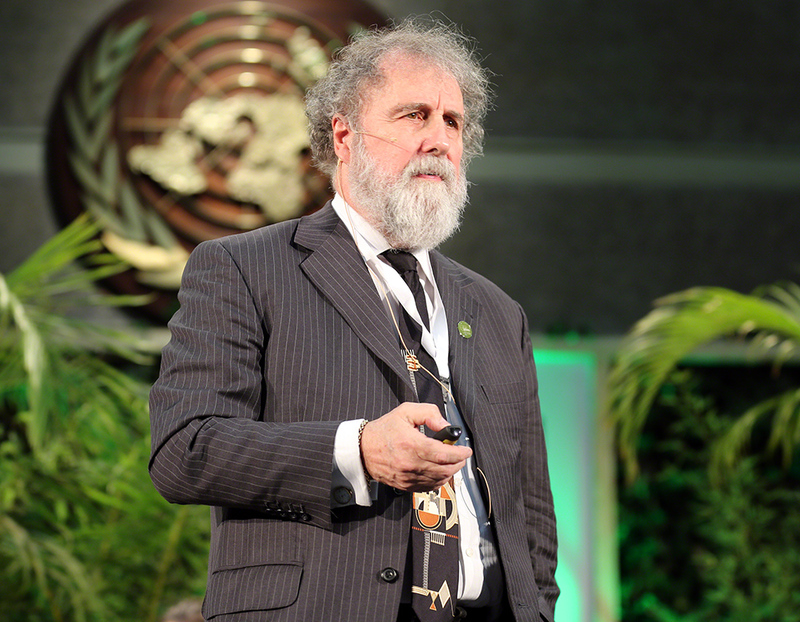 David R. Boyd, UN Special Rapporteur on human rights and the environment, stated that the protection of the environment enables the fulfillment of many human rights, such as the right to drinking water and sanitation, while upholding human rights, such as the right to freedom of association, in turn helps to protect the environment. 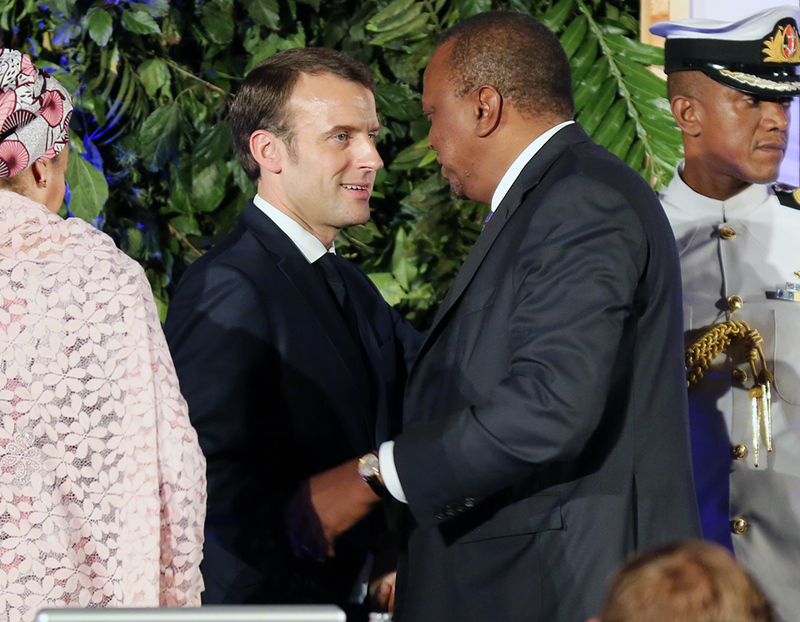 The COW convened two plenaries in the afternoon and evening to take stock of progress on negotiations. 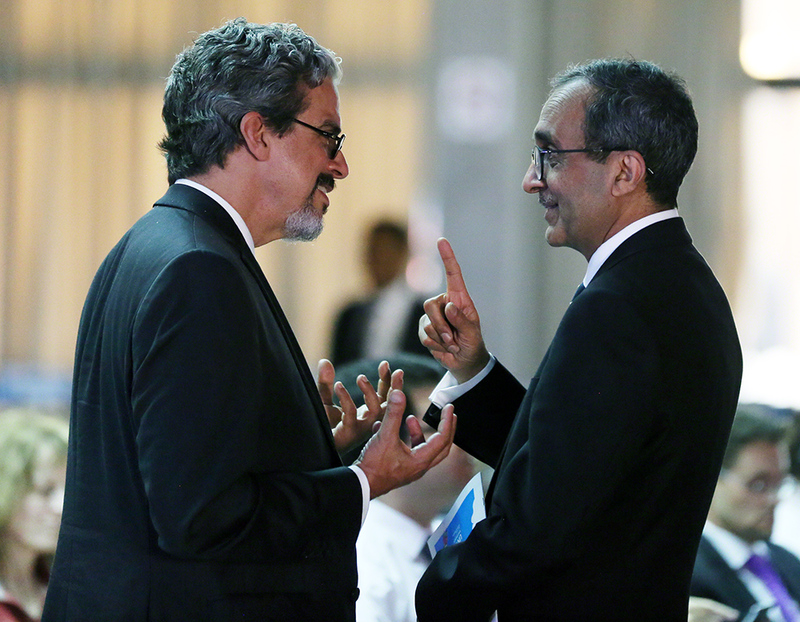 Delegates continued negotiations late into the evening. 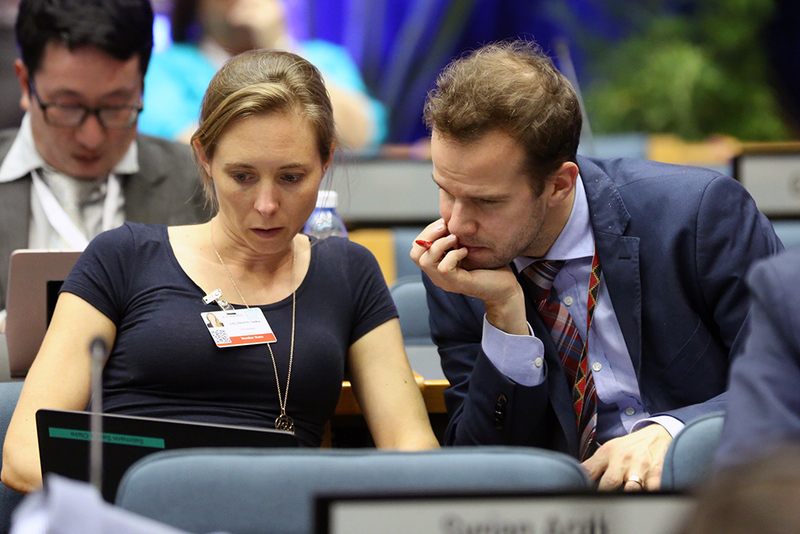 Progress on marine litter negotiations, with delegates pressing for further talks to resolve outstanding issues late into the evening. 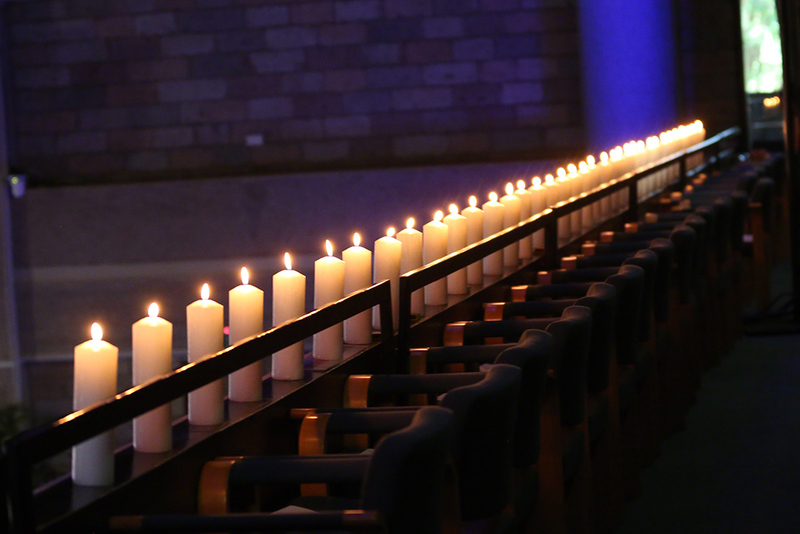 A moment of silence in memory of the people lost after the Ethiopian Airlines 302 crash. 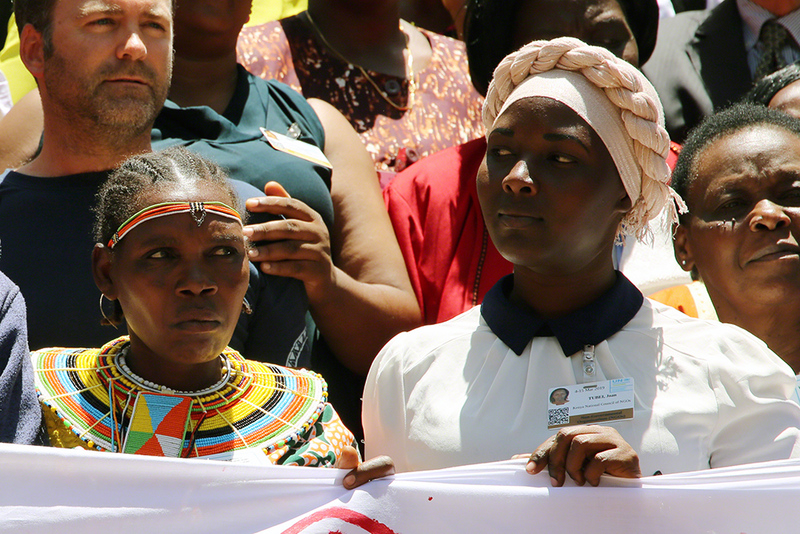 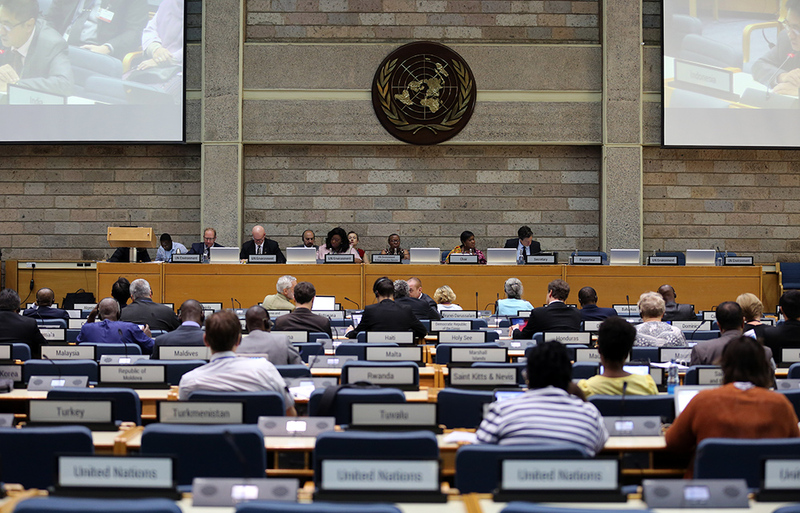 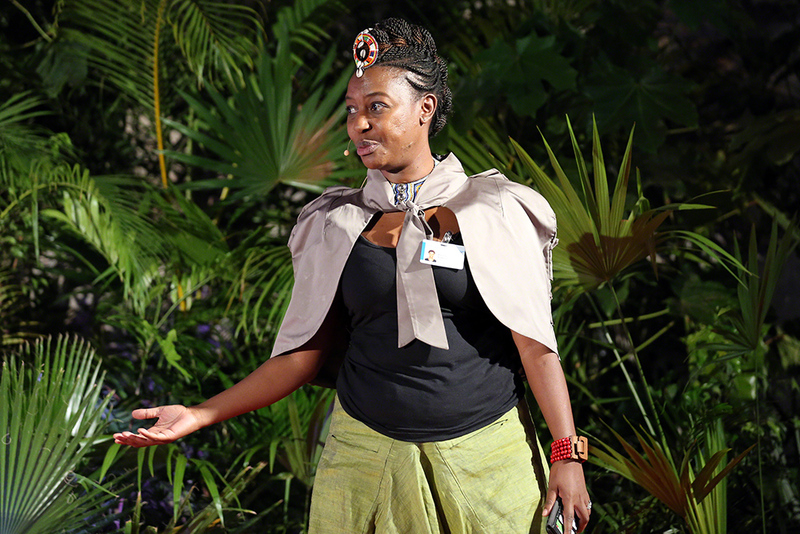 The fourth session of the UN Environment Assembly (UNEA-4) opened in Nairobi, Kenya, on Monday. 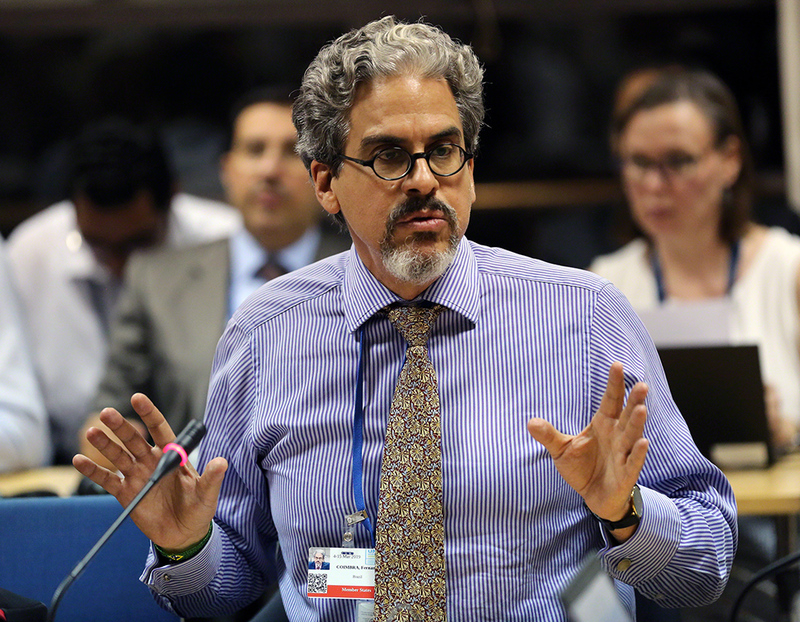 Delegates established a Committee of the Whole (COW), which convened in the afternoon to continue negotiations on draft resolutions that had not been agreed by the end of the fourth Open-Ended Committee of Permanent Representatives (OECPR-4). 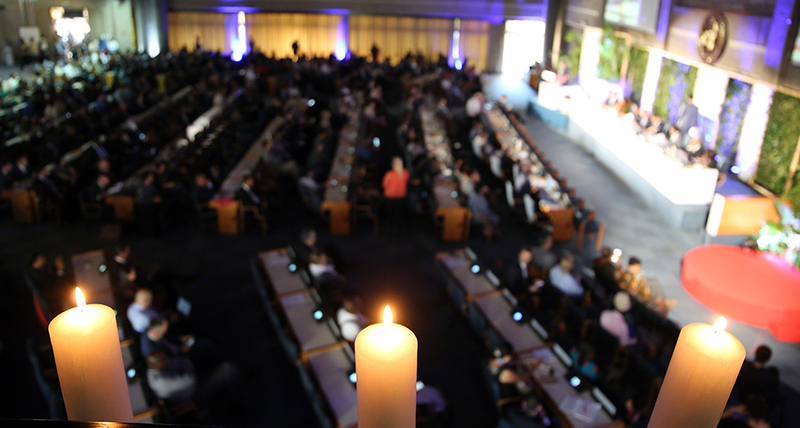 Opening the Assembly, UNEA-4 President Siim Valmar Kiisler (Estonia) invited delegates to observe a minute of silence in honor of the 157 people who perished in the Ethiopian Airlines plane crash on Sunday, while en route to Nairobi. 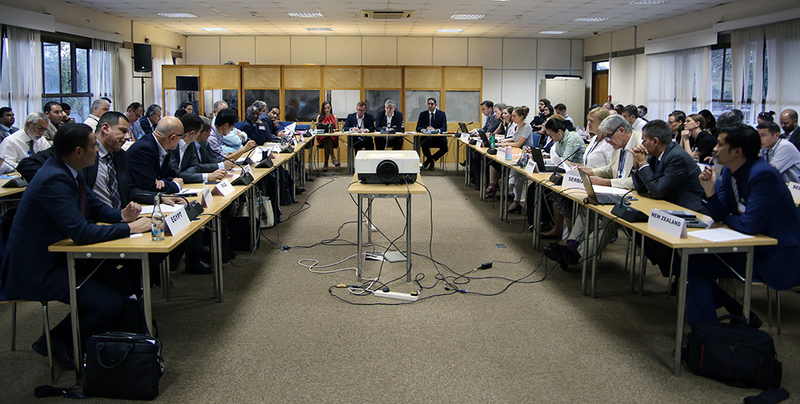 The meeting established two working groups and three contact groups to complete negotiation of all outstanding resolutions that had not been finalized at the OECPR the previous week, and delegates proceeded to continue their discussions on issues including sustainable consumption and production (SCP), deforestation, biodiversity, gender equality, deforestation, and marine litter and microplastics. 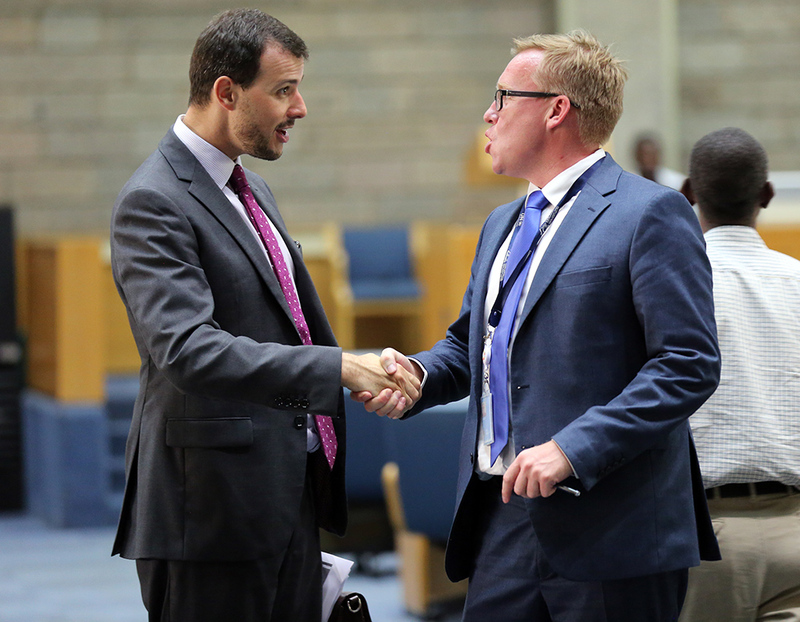 Discussion on improving work processes around the organization of future UNEA conferences. 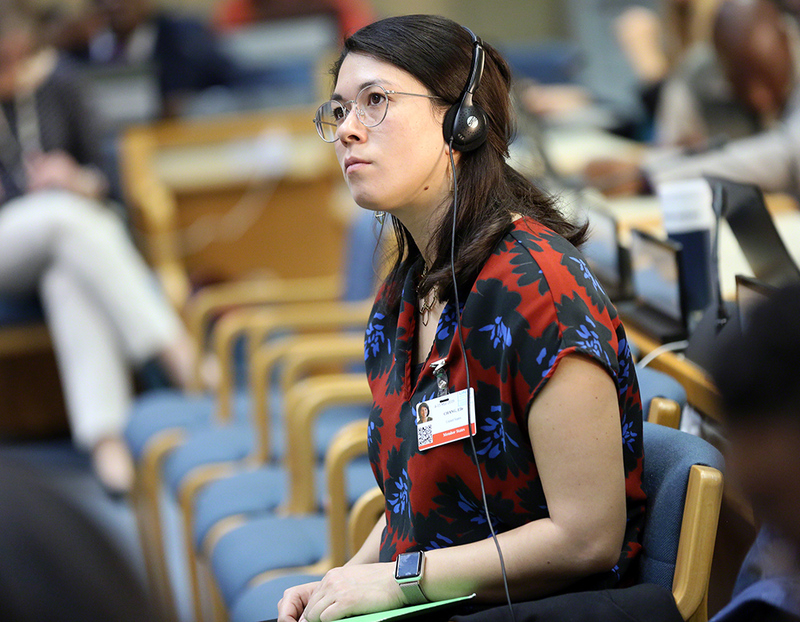 On Friday, delegates at the fourth Open-Ended Committee of Permanent Representatives (OECPR-4) sought to complete negotiations on all draft resolutions and forward clean text for adoption at the fourth session of the UN Environment Assembly (UNEA-4). 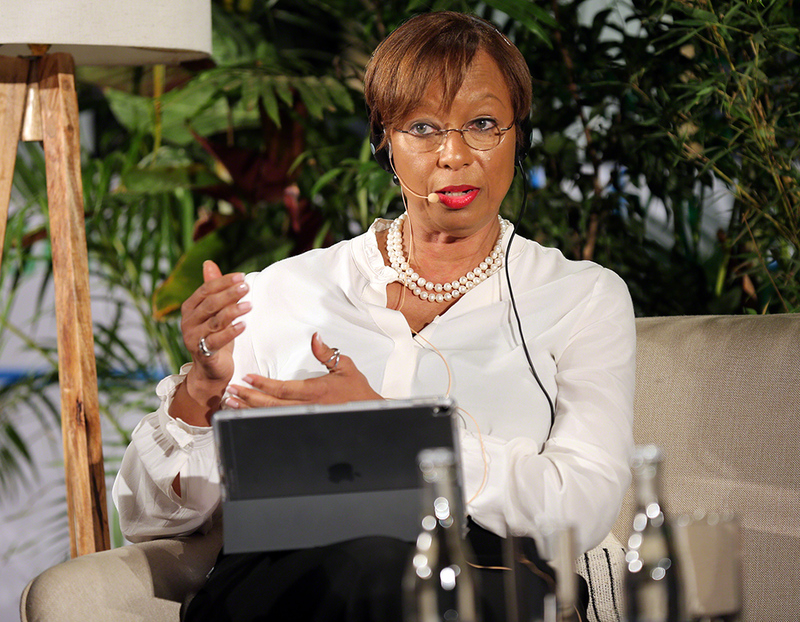 At the closing plenary on Friday evening, OECPR-4 Chair Francisca Ashietey-Odunton (Ghana) commended Member States on their hard work and cooperation. 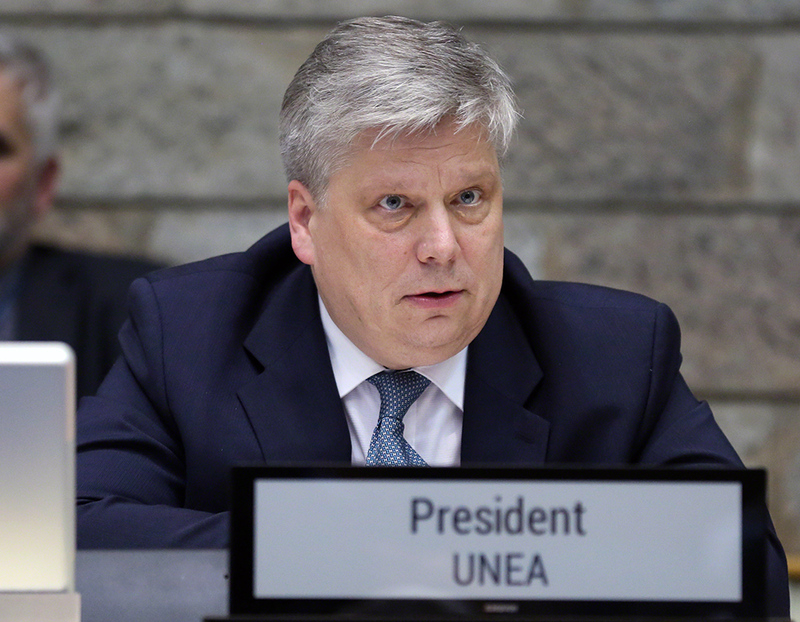 UNEA President Siim Kiisler (Estonia) advised delegates that a revised draft of the ministerial declaration was available, noting that sincere efforts had been made to accommodate all concerns, while maintaining the action-oriented nature of the document. 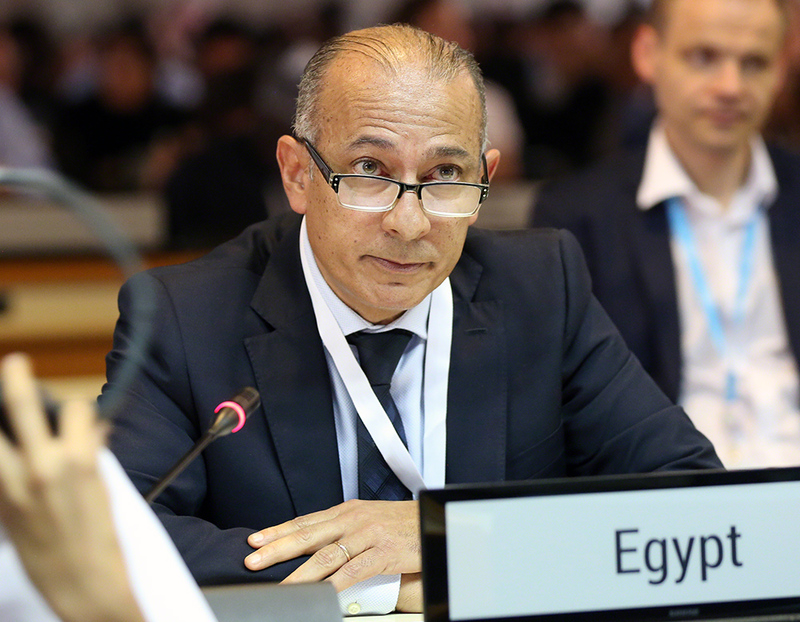 The plenary recommended that the OECPR-4 should forward the agreed resolutions and decisions to the fourth session of the UN Environment Assembly (UNEA-4) for adoption. 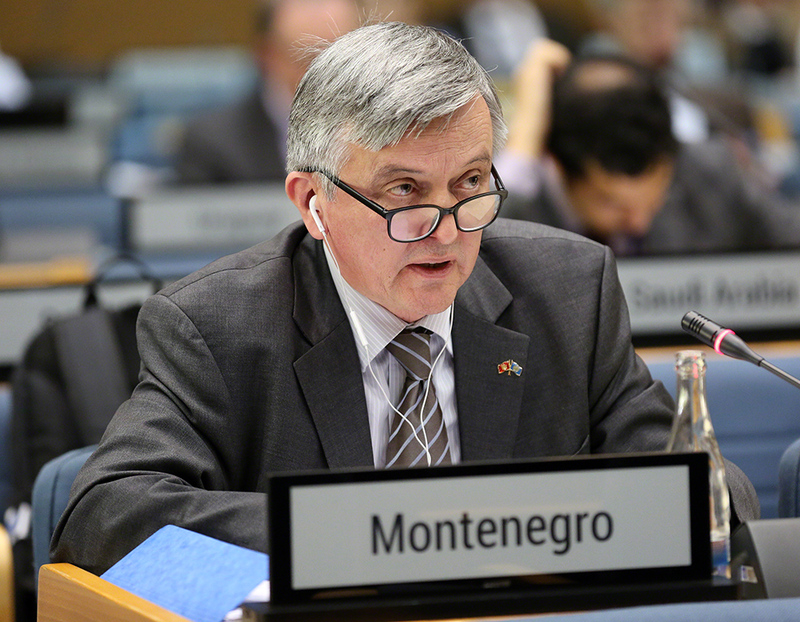 These were on: protection of the marine environment from land-based activities, mangroves, coral reefs, peatland, nitrogen management, and the Fifth Programme for the Development and Periodic Review of Environmental Law (Montevideo V). 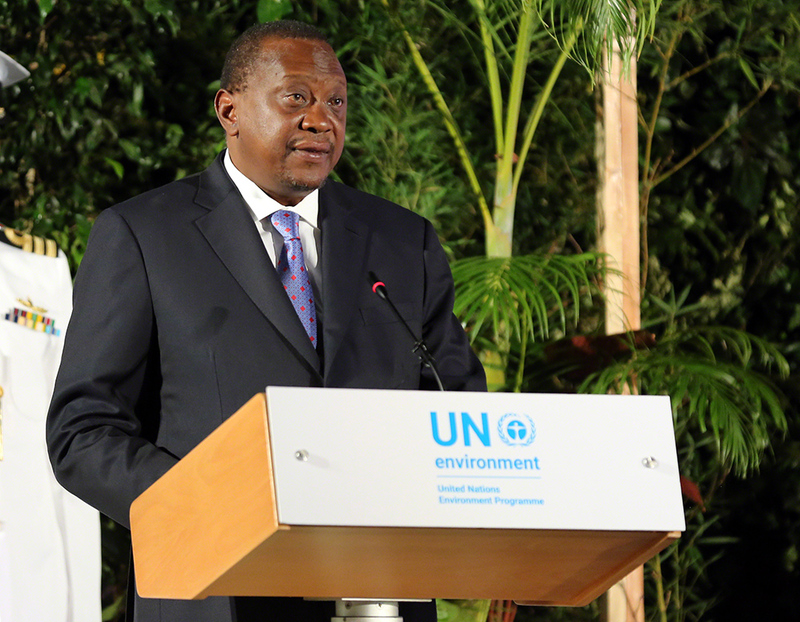 They also forwarded draft decisions on implementation and follow-up of UNEA resolutions, and management of trust funds. 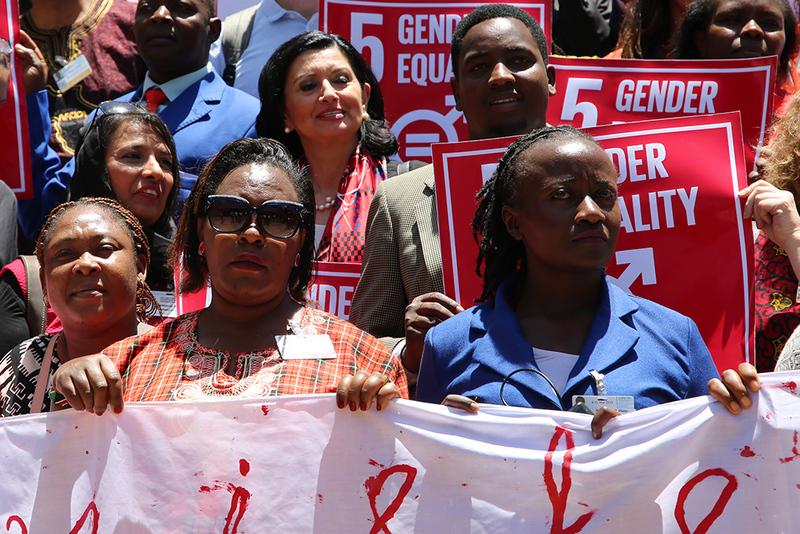 They mandated the five working groups to continue in open-ended discussions over the weekend on the remaining 21 drafts. 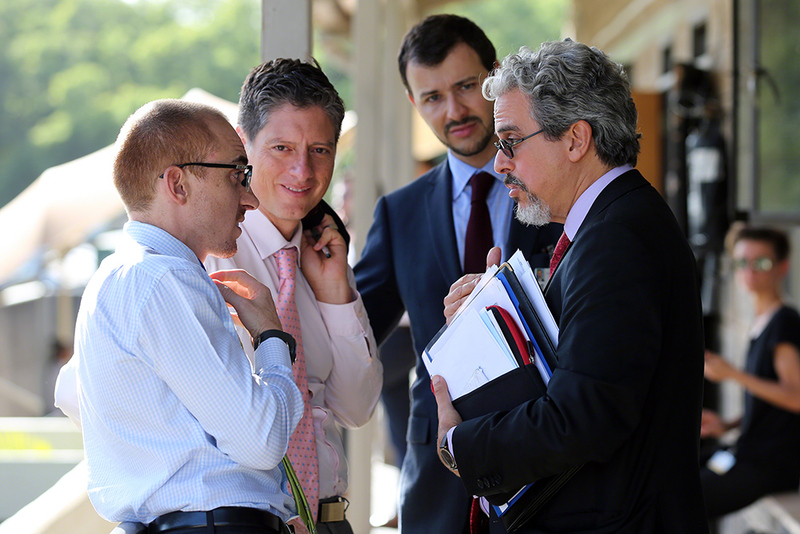 Negotiations continued over Saturday and Sunday, reaching agreement on: sustainable mobility; the Montevideo V programme; mineral resource governance; and the poverty-environment nexus; the implementation plan “Towards a Pollution-free Planet." 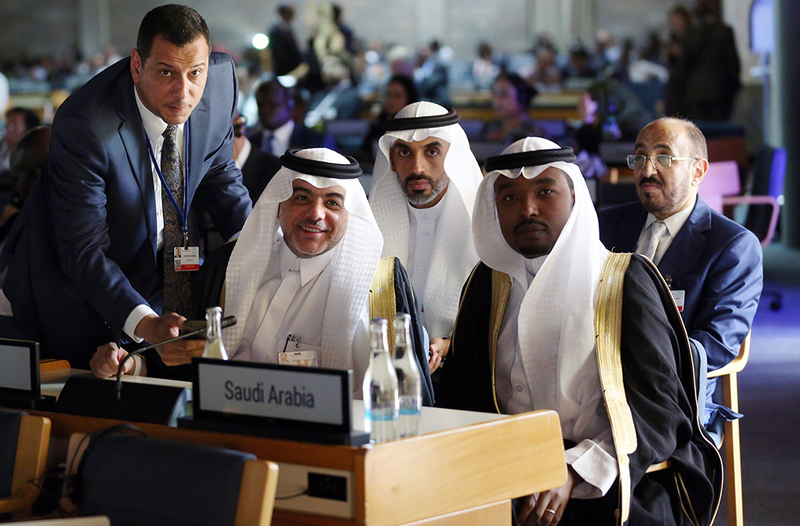 Agreement on several draft resolutions on environmental governance by Sunday evening, including on mineral resource governance, and the poverty-environment nexus. 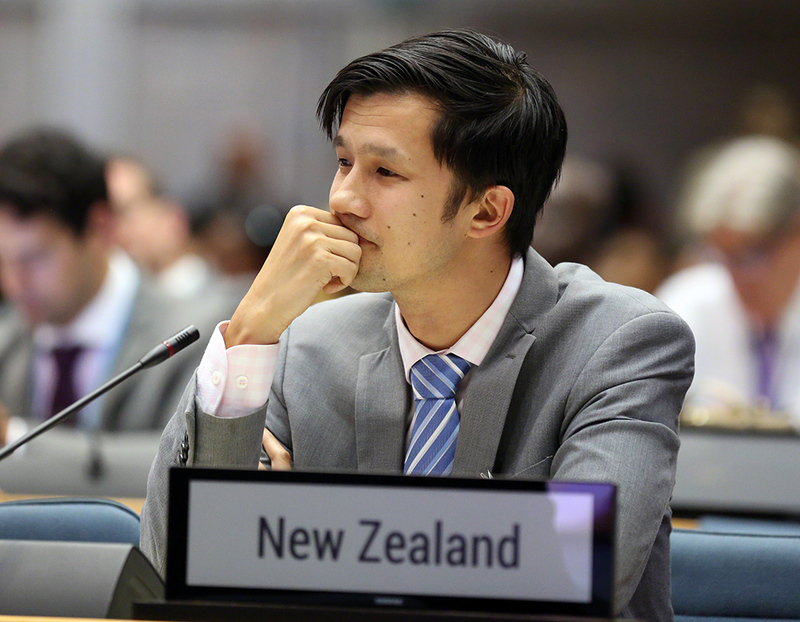 On Thursday, the fourth Open-Ended Committee of Permanent Representatives (OECPR-4) sought to make significant progress toward completing negotiation of draft resolutions, ahead of the fourth session of the UN Environment Assembly (UNEA-4). 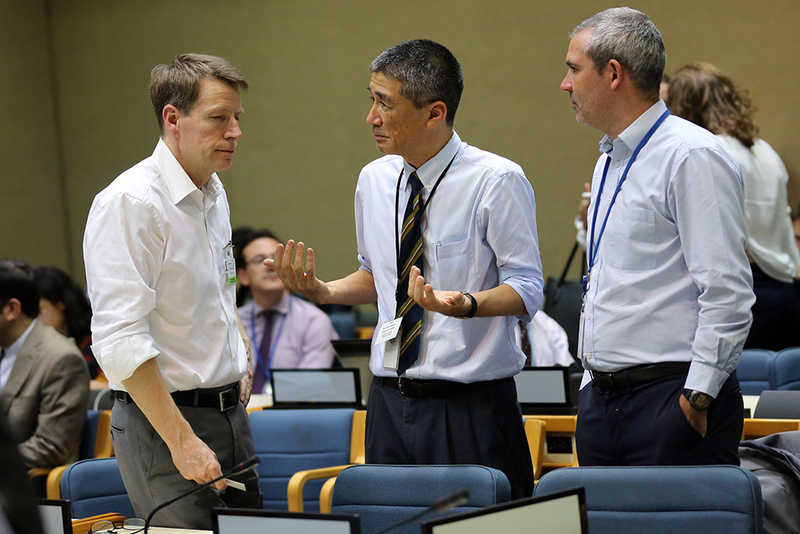 Four working groups convened during the day and the fifth, on environmental governance, met in the evening. 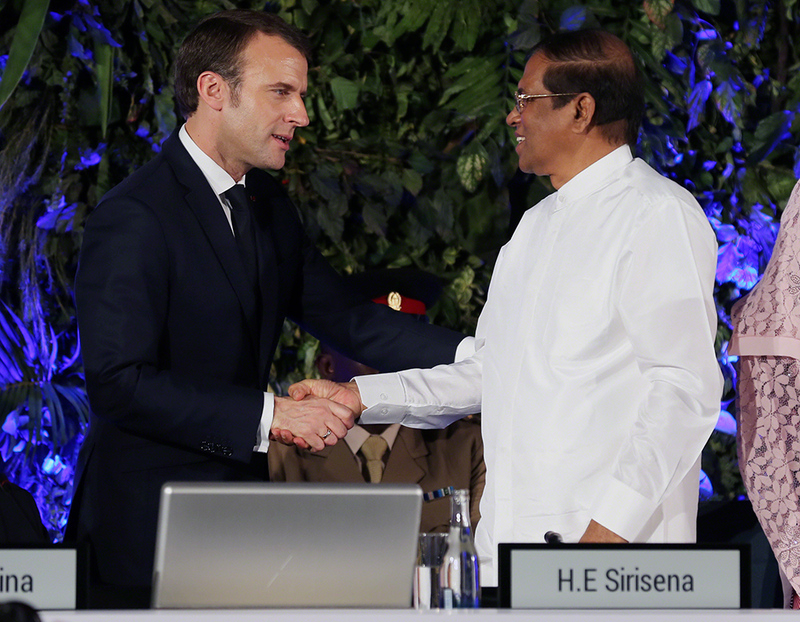 Delegates also discussed the draft ministerial declaration in the evening, and informal discussions continued throughout the day. 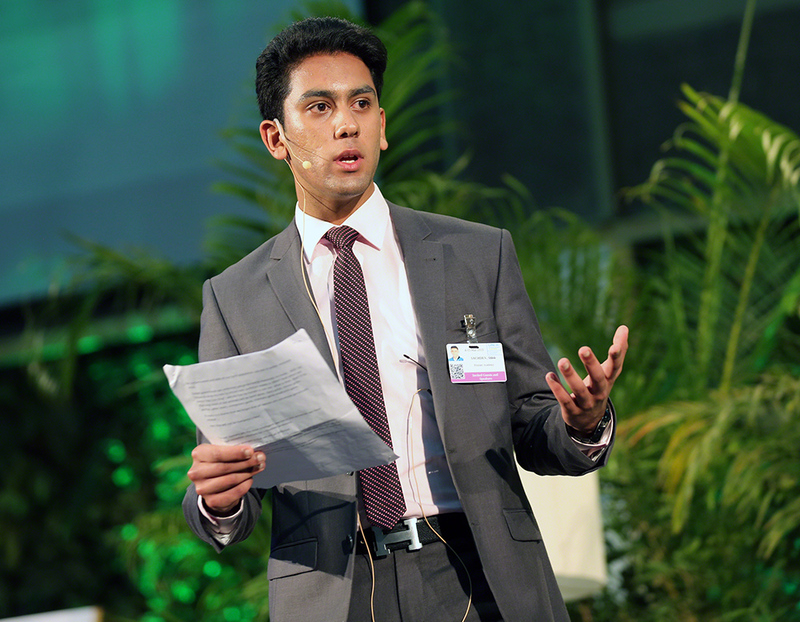 Affirmation of the importance of sustainable consumption and production (SCP) for achieving the 2030 Agenda for Sustainable Development. 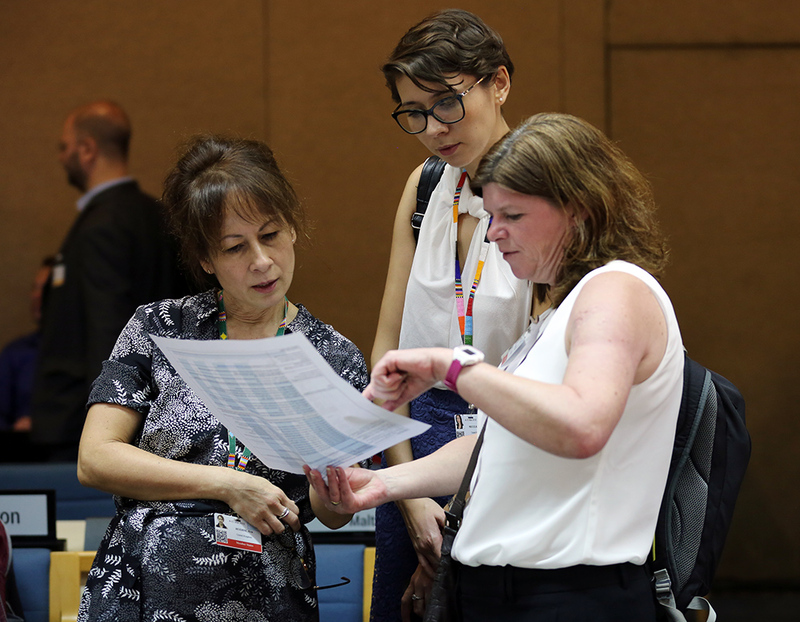 On Wednesday, delegates continued meeting in five working groups to negotiate draft resolutions, ahead of the fourth session of the UN Environment Assembly (UNEA-4) next week in Nairobi, Kenya. 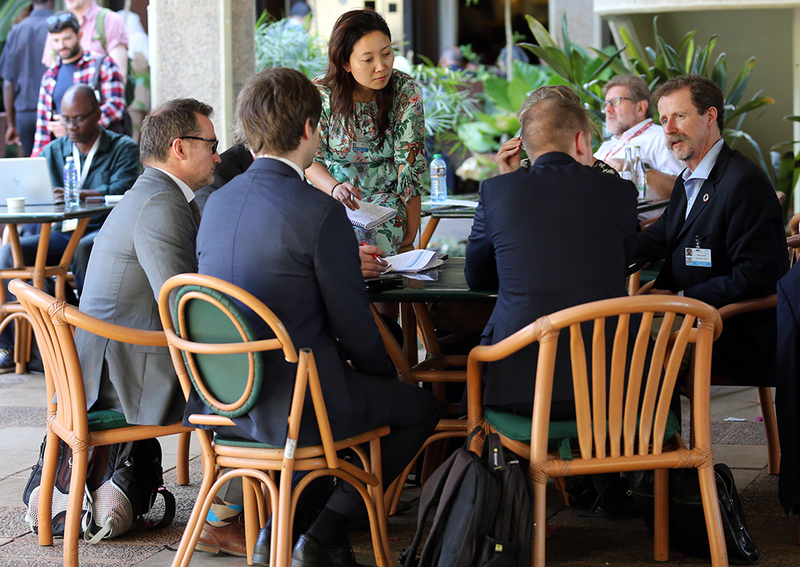 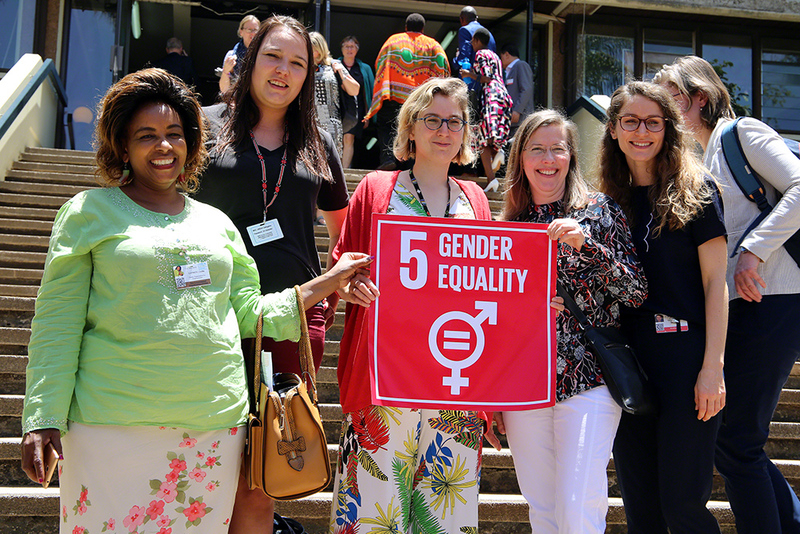 Informal consultations took place during the day on marine litter, gender, geoengineering, Sustainable Consumption and Production (SCP), improvement and the future of Global Environment Outlook reports, and implementation and follow-up of UNEA resolutions. 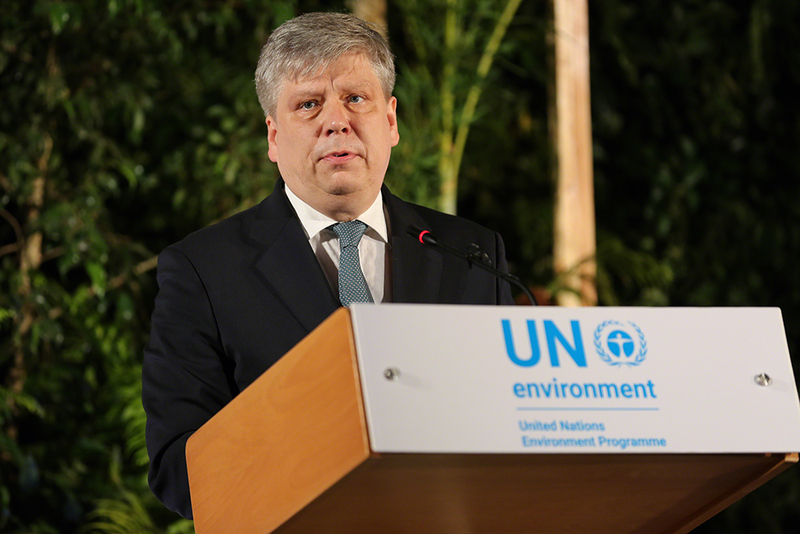 In the evening, UNEA President Siim Kiisler (Estonia) held a second consultation session on the draft ministerial declaration. 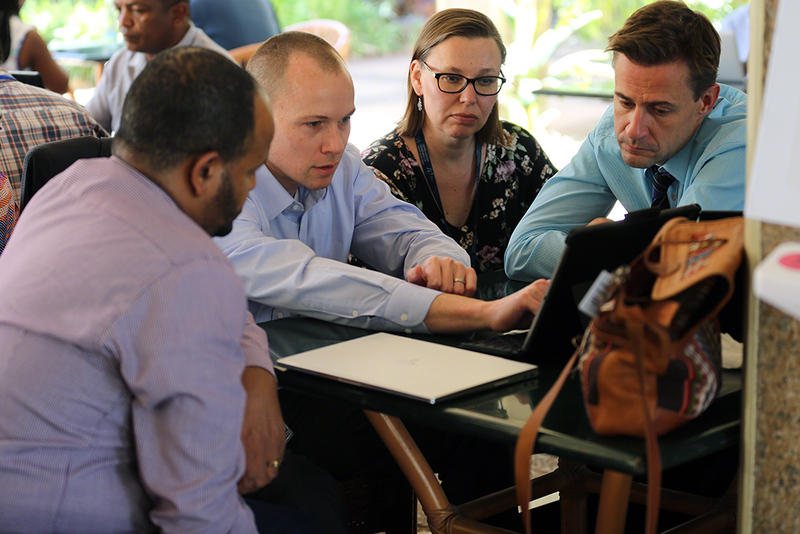 Many delegates worked in small drafting groups through the day to revise text for discussion in the larger working groups. 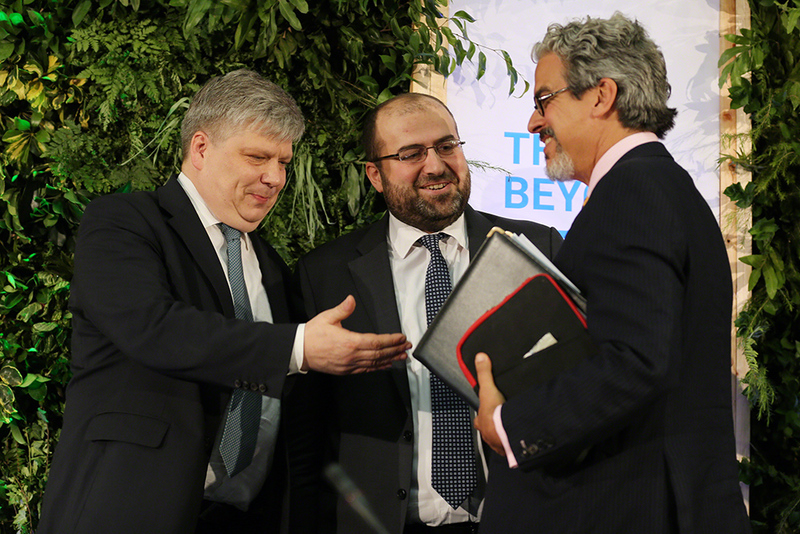 a second round of open consultations on the draft ministerial declaration. 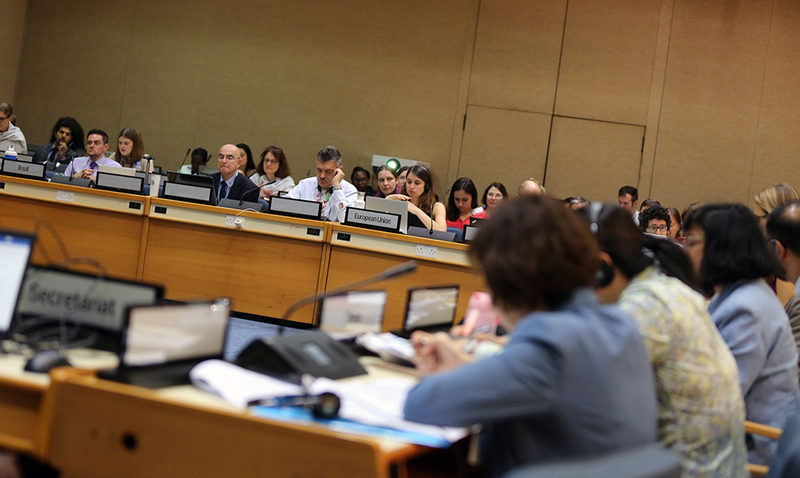 On Tuesday, the Open-ended Committee of Permanent Representatives (OECPR) continued its discussions in preparation for the fourth session of the UN Environment Assembly (UNEA-4), in plenary sessions that ran in parallel with working group negotiations throughout the day. 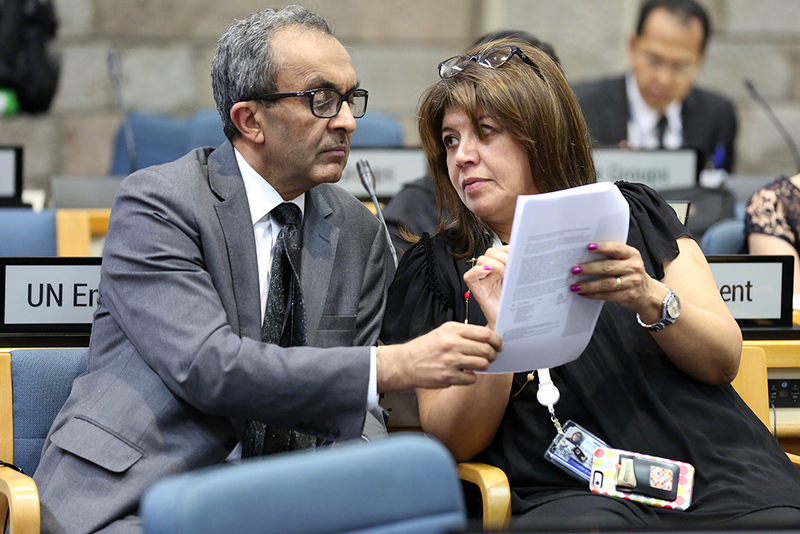 Delegates discussed budget and programme performance of the UN Environment Programme (UNEP), contributions to the High-Level Political Forum on Sustainable Development (HLPF), and the Sixth Global Environment Outlook (GEO-6), while working groups deliberated on the text of draft resolutions to be forwarded to UNEA-4. 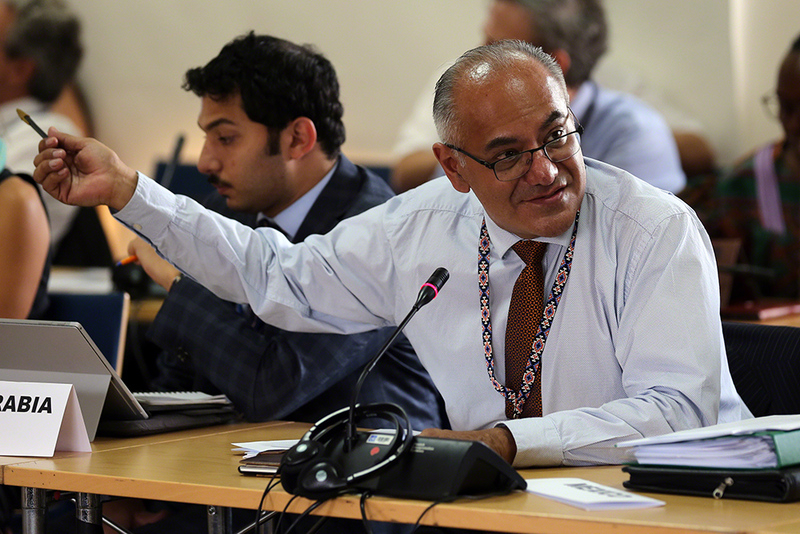 the proposed programme of work and budget for the 2020-2021 biennium. 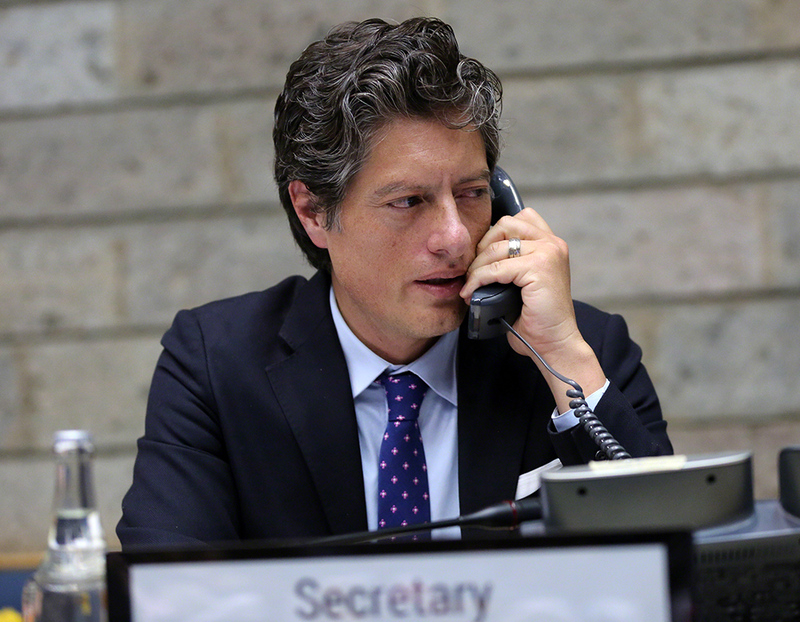 On Monday, the Open-Ended Committee of Permanent Representatives (OECPR) began discussions in Nairobi, Kenya, in preparation for the fourth session of the UN Environment Assembly (UNEA-4) the following week. 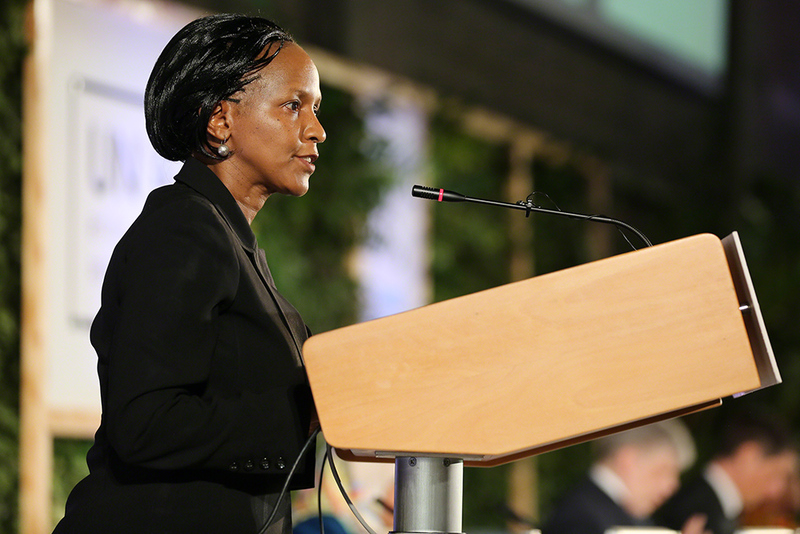 OECPR Chair Francisca Ashietey-Odunton, Ghana, welcomed delegates, who then adopted the agenda and organization of work. 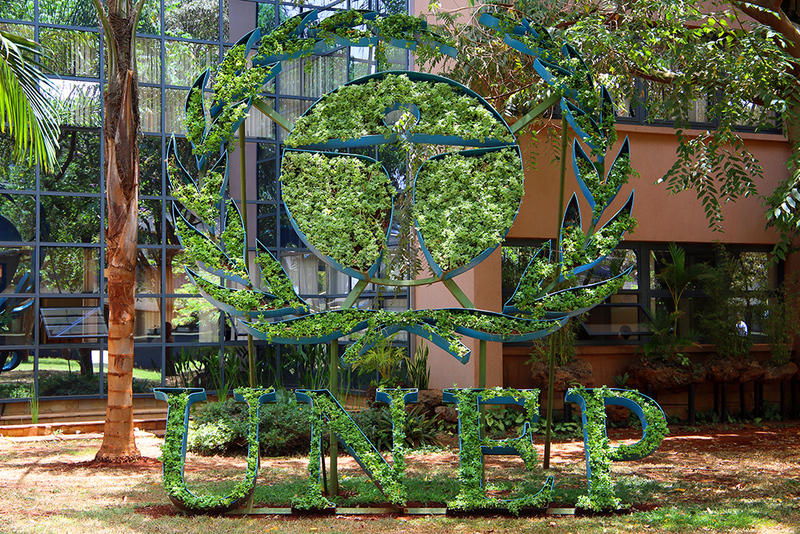 In the morning, delegates considered a series of reports from the UNEP Secretariat, and discussed UNEP’s budget and programme performance, including implementation of previous UNEA resolutions. 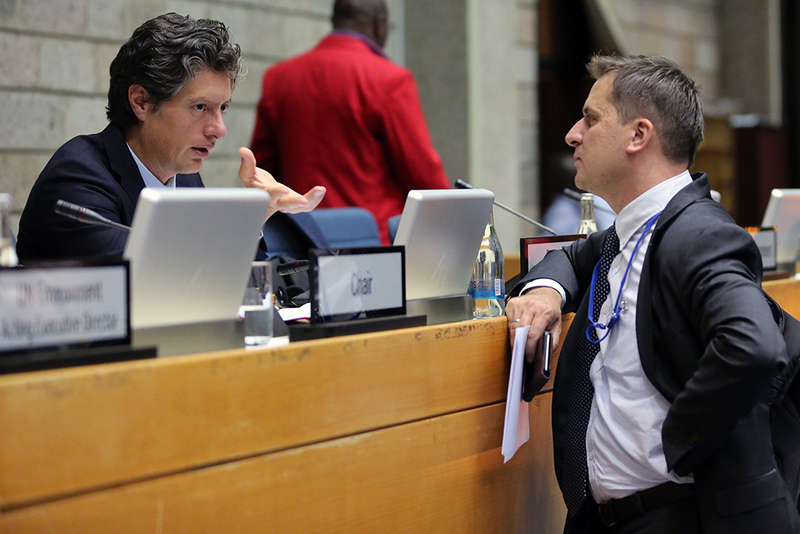 In the afternoon, plenary consultations took place on the ministerial declaration to be adopted at UNEA-4. 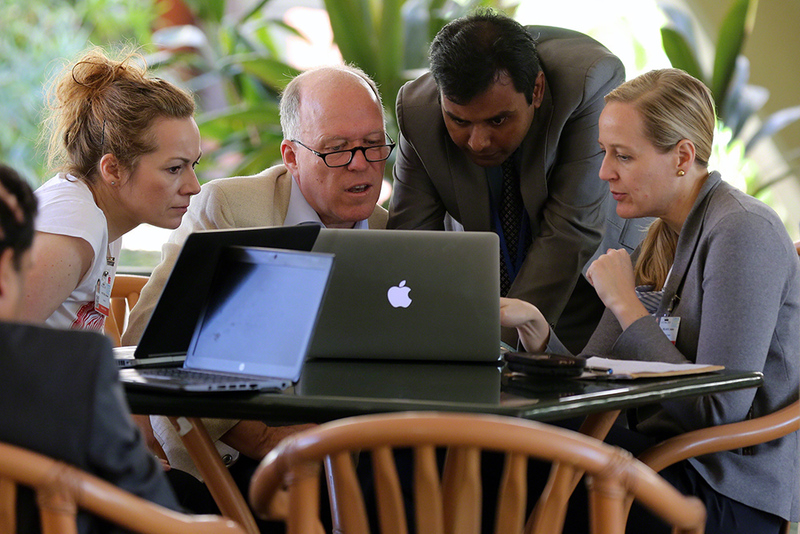 Throughout the day, delegates convened in five working groups to begin negotiations on the proposed resolutions to be put forward at UNEA-4. 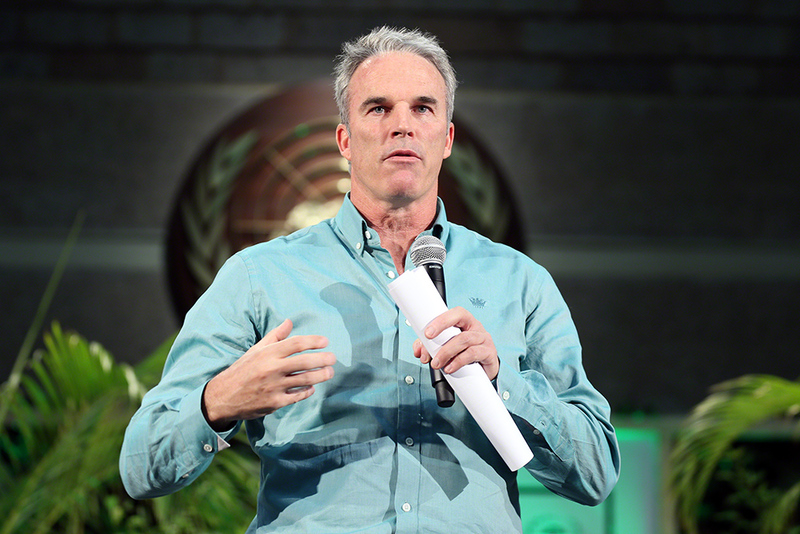 actions to promote sustainable coral reefs management.